P&O CRUISES AUSTRALIA MAKES HISTORY BY VISITING THE CONFLICT ISLANDS IN PNG. P&O Cruises’ Pacific Jewel made history last week becoming the first cruise ship to call at one of the most remote island groups in the world - the Conflict Islands in Papua New Guinea. 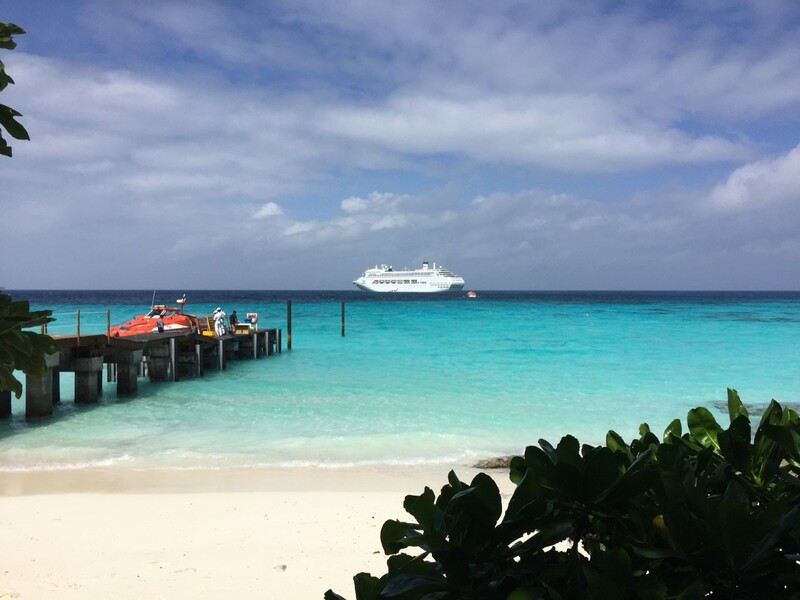 The uninhabited islands became P&O’s latest cruise destination – and eighth port in Papua New Guinea – when the 2000-guest ship anchored off Panasesa Island last Tuesday. The historic call was part of a landmark partnership for the region, with the cruise line working closely with entrepreneur and passionate conservationist Ian Gowrie-Smith to bring cruise ships to his islands - one of only a few parcels of land owned freehold in Papua New Guinea. A picturesque group of 21 islands surrounding a bright blue lagoon, the Conflict Islands are home to one of the world’s most biodiverse reef systems. During their visit, guests made the most of the island paradise taking part in kayaking, snorkeling and stand-up paddleboarding as well as glass bottom boat and outrigger canoe tours. The only cruise line offering calls to the untouched Conflict Islands, P&O has added the destination to 11 of its Papua New Guinea itineraries in 2016. P&O Cruises President Sture Myrmell said P&O was excited to be bringing undiscovered paradises like the Conflict Islands within reach of more Australian holidaymakers. “Even though they are close to Australia, many of Papua New Guinea’s picturesque islands are rarely visited because they are difficult to access. Cruising really is the easiest way to see this stunning corner of the world so we’re thrilled to add the beautiful Conflict Islands to our great list of destinations,” Mr Myrmell said. Cruise The Seas Travel And Media, Cruising Australia The HOME Of Australian Cruising! 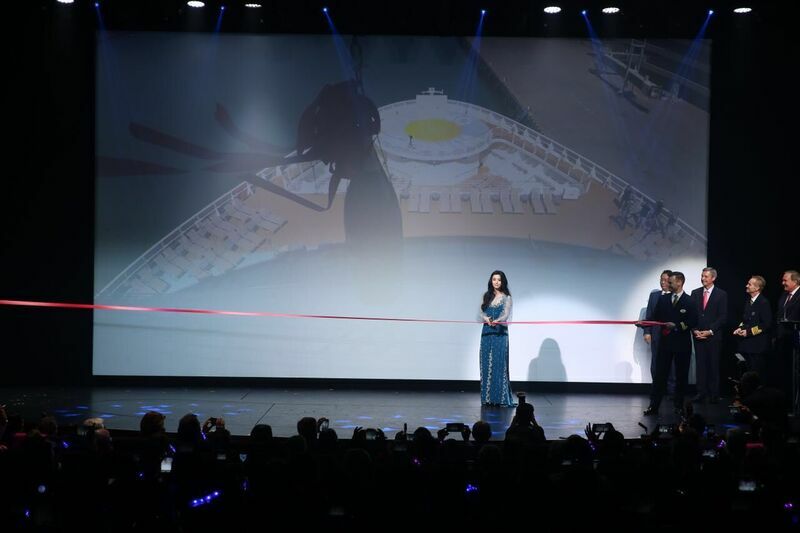 OVATION OF THE SEAS OFFICIALLY NAMED IN CHINA, AFTER A SPECTACULAR NAMING CEREMONY. 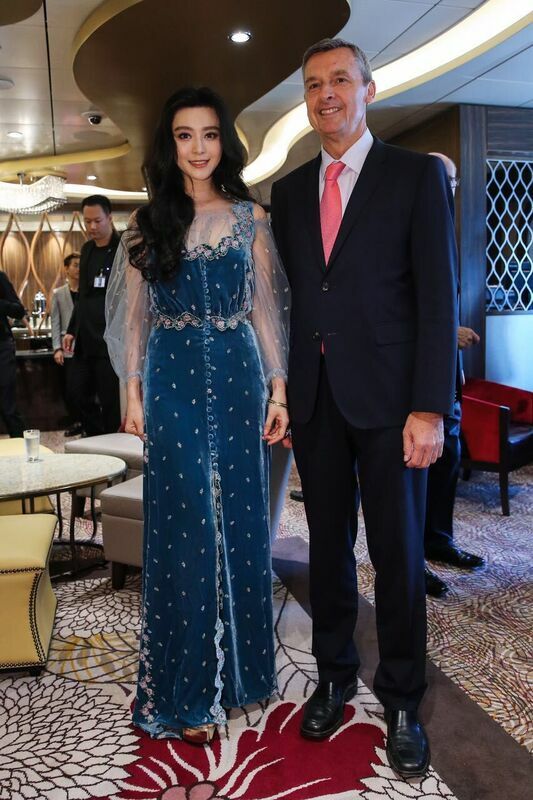 Royal Caribbean International’s all-new Ovation of the Seas has officially been named at a ceremony over the weekend at the port city of Tianjin in northeast China. 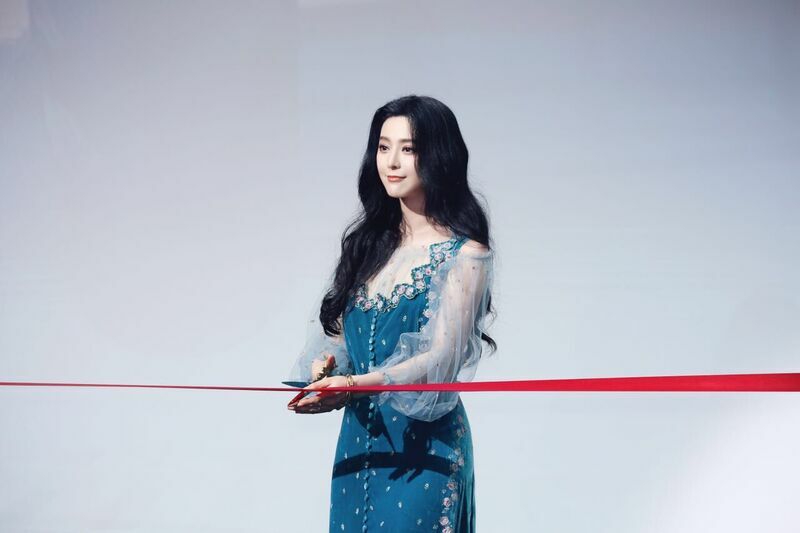 The historic milestone was presided over by Ovation of the Seas’ Godmother, world famous actress Fan Bingbing, and witnessed by 100 Australian travel agents, culminated with the maritime tradition of the breaking of a champagne bottle on the hull of the ship to wish good fortune to the ship and all who sail on her. The US$1 billion Ovation of the Seas is the first brand new ship to make Australia its homeport and introduces a whole new holiday category to the region - supercruising. 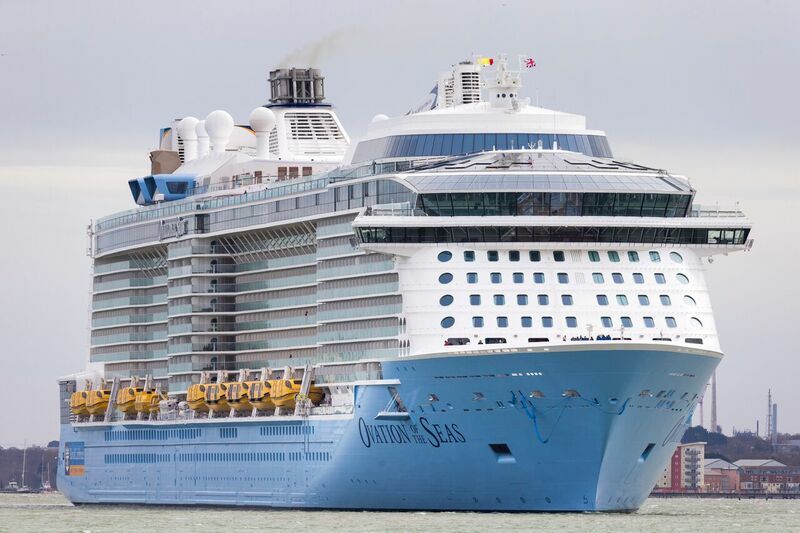 As one of the largest cruise ships ever built, accommodating 4,180 guests at double occupancy and 1,500 international crew members, Ovation of the Seas boasts an array of stunning features and experiences; many of which have never before been seen at sea or can be found only on Royal Caribbean. Royal Caribbean’s unmatched innovations in onboard attractions include the North Star, a glass viewing capsule that takes guests more than 90 metres above the ocean for incomparable panoramic views. For guests seeking an adrenaline-fueled experience there is the thrilling RipCord by iFly skydiving experience, and the FlowRider surfing simulator, where guests can surf on the high seas. By day a lounge with incredible 270 degree views of the ocean at the aft of the ship, Two70 transforms into a multifunctional entertainment venue at night with a troupe of dancing Roboscreens. The young at heart will love SeaPlex, the largest indoor activity space at sea, offering basketball, roller skating, bumper cars, a trapeze school and more. 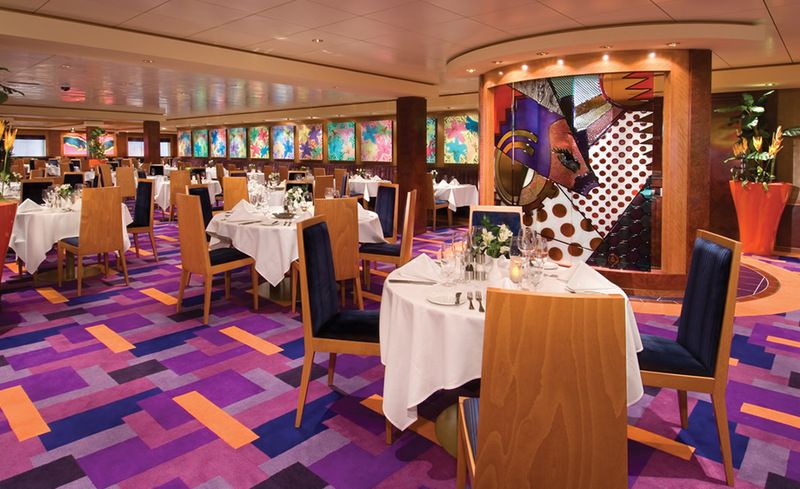 There are 18 restaurants onboard Ovation with a variety of international cuisines to choose from, including Jamie’s Italian, Michael’s Genuine Pub, the enchanting Wonderland and Royal Caribbean favourites like Chops Grille steakhouse and Izumi Japanese. Well-appointed accommodations include the unique Loft Suites which offer the most luxurious accommodations at sea, while Virtual Balcony staterooms mean all accommodations, including interior staterooms have a view thanks to large digital screens displaying real-time views of the destinations the ship visits. With the debut of Ovation of the Seas, Royal Caribbean International has once again set a new standard for Australian travellers. Unprecedented innovations in ship design, thrilling activities, game-changing technology, multidimensional entertainment, and robust dining opportunities, come together to create the ultimate, contemporary holiday experience, supercruising – only found on Royal Caribbean. Ovation of the Seas will be based in Tianjin (Beijing) until November, before arriving to her new Sydney home on 15 December 2016 for her maiden Australian season. 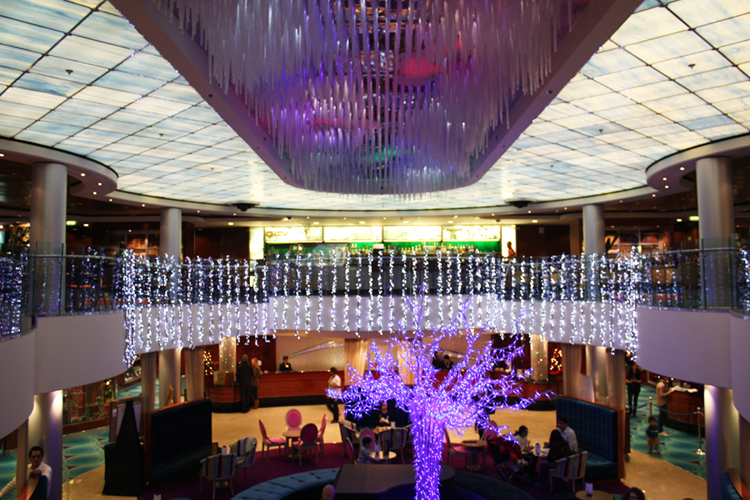 For further information, visit www.ovationoftheseas.com.au, phone 1800 754 500 or see your local travel agent. Information supplied by : Royal Caribbean International. ONLY ONE WEEK TO GO UNTIL NORWEGIAN JEWEL BOOKINGS OPEN IN AUSTRALIA. Only One Week To Go Until Norwegian Jewel Bookings Open In Australia For 2017/18 Season ! Well Here It Is Australia, One Week to go before you can start booking The NEWEST cruise line to call Australia home ! That’s right Norwegian Cruise Line one of the BIG three is coming right to your doorstep. Offering amazing itineraries the finest in local Australian produce on-board and award winning entertainment. Norwegian Cruise Line also has the White Hot Party. The home grown, that’s right from Australia, ballroom spectacular Burn The Floor has been confirmed as one of the spectacular shows that Norwegian Jewel will have for her On board entertainment. Fyzz Caberet Lounge and Bar. All this offers Australians the NCL “Freestyle flexible options” that Norwegian Cruise Line are renowned for. This means the freedom of its Freestyle dining options, so On board there is no set dining times nor is there pre assigned seating. You can just go with the flow and dine with whoever you want, whenever you want instead of being on a schedule. So why dont you start cruising like a Norwegian ! The Open Air Buffet, called The Great Outdoors. The Atrium Bar and Cafe. Magnum's Champaine and Wine Bar. Maltings Beer and Whisky Bar. Shakers Martini & Cocktail Bar. The Sapphire Pool on Deck 12. Photos and videos supplied by: Norwegian Cruise Line. Information supplied by: Cruise The Seas Travel And Media, Cruising Australia The HOME Of Australian Cruising! 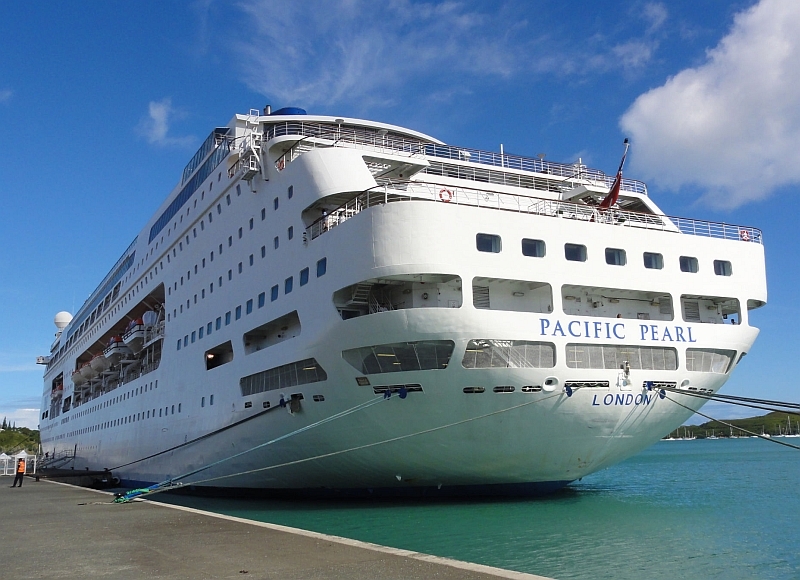 P&O CRUISES TAKES RUNNING MAN CHALLENGE ON, WITH ENTIRE CREW OF PACIFIC PEARL. P&O Cruises has taken the Running Man dance challenge to sea with the entire crew of Pacific Pearl taking part in the latest social media dance craze. Originally started by New Zealand Police, who laid down the challenge to their international counterparts, the Running Man has since gone viral and been embraced by the likes of celebrities and sports stars across the globe. The video, posted on the cruise line’s Facebook page today, sees Pacific Pearl’s 700-strong crew - from her Captain to her chefs - unite to perform the 1980s dance move. In line with the nature of the challenge, the crew of Pacific Pearl has now passed the baton to their colleagues onboard P&O’s four other ships in what’s sure to spark a Running Man extravaganza at sea. DAWN PRINCESS MAKES HISTORY AS THE BIGGEST CRUISE SHIP TO VISIT CAIRNS CRUISE TERMINAL. Princess Cruises has sailed into history in Cairns today, with its superliner Dawn Princess becoming the biggest ship in its fleet to navigate the city’s channel to berth at the Cairns Cruise Liner Terminal. The arrival of the 260-metre long, 77,000-tonne ship at the terminal is a milestone moment for the city of Cairns, marking the start of a new era which will see Princess dock its Australian-based “Sun Class” ships – Sun Princess, Sea Princess and Dawn Princess – in the heart of the city. 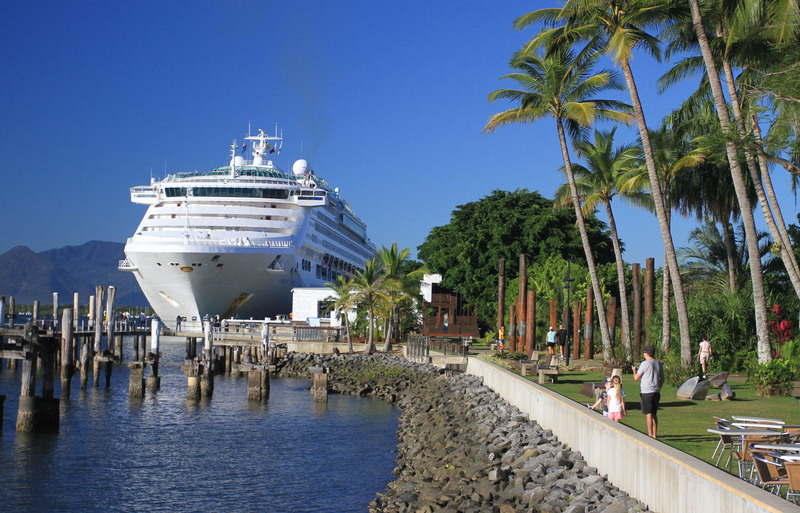 The move will boost the economic benefit of the cruise ships’ regular visits to the Cairns region, with tens of thousands of Princess passengers now having immediate access to the city from the cruise terminal, instead of spending time transferring by tender boats from ships anchored at Yorkeys Knob, north of the city. The three 2000-guest ships are now scheduled to make a further 18 visits to the Cairns Cruise Liner Terminal over the next two years, delivering almost 40,000 guests to the city’s doorstep. The change in berthing location follows more extensive simulator exercises which map the ships’ passage through Cairns harbour and Trinity Inlet to demonstrate they could dock at the terminal. The simulations were conducted with Cairns’ Harbour Master, Ports North Marine Pilots, Princess Cruises marine department and a captain of Princess’ three Sun class vessels. Today, local officials joined with Princess representatives and Dawn Princess crew to celebrate the achievement onboard Dawn Princess with a plaque exchange – a traditional maritime ceremony conducted each time a ship makes a new port of call. Sun Princess, Sea Princess and Dawn Princess offer Australians a premium cruising option from a range of homeports including Brisbane, Sydney and Fremantle. Each ship features a high number of staterooms with private balconies, along with multiple dining options, including the new Curtis Stone restaurant SHARE on Sun Princess, and signature Princess innovations such as the popular Movies Under the Stars poolside theatre and The Sanctuary, an exclusive top-deck retreat. Information supplied by: Princess Cruises. NCL's NORWEGIAN JEWEL SET TO SHAKE UP CRUISING IN AUSTRALIA IN 2017/18 SUMMER SEASON. Norwegian Cruise Line will homeport the 2,376-passenger Norwegian Jewel in Australia for the 2017/2018 summer season, the line confirmed today. The announcement is in line with record local growth for the brand, which opened an office in Sydney last year ahead of the arrival of Norwegian Star to local waters for an ever-so-brief cameo appearance. 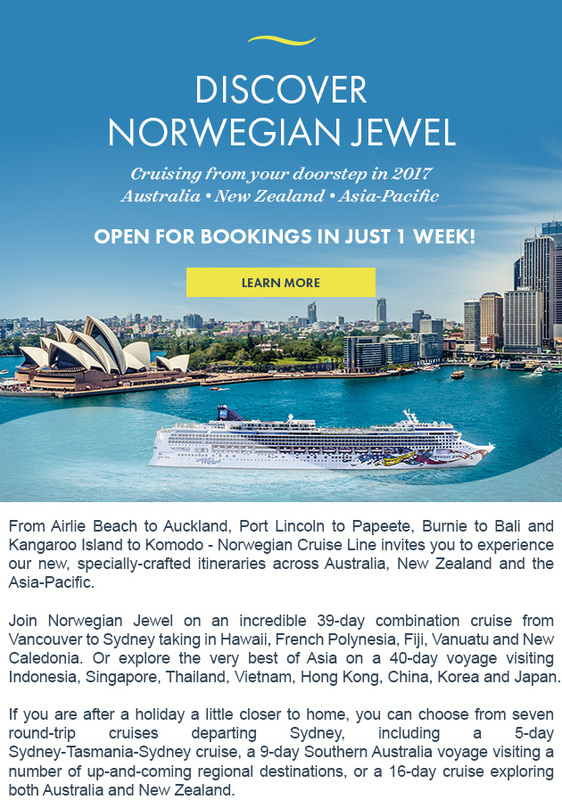 Jewel will make its Australian debut in November 2017, staying until February 2018, with its maiden season comprising a full summer of round-trip itineraries from five to forty nights to Asia, New Zealand, Southern Australia and the South Pacific. The vessel will also sail two one-way voyages between Sydney and Auckland during this time. 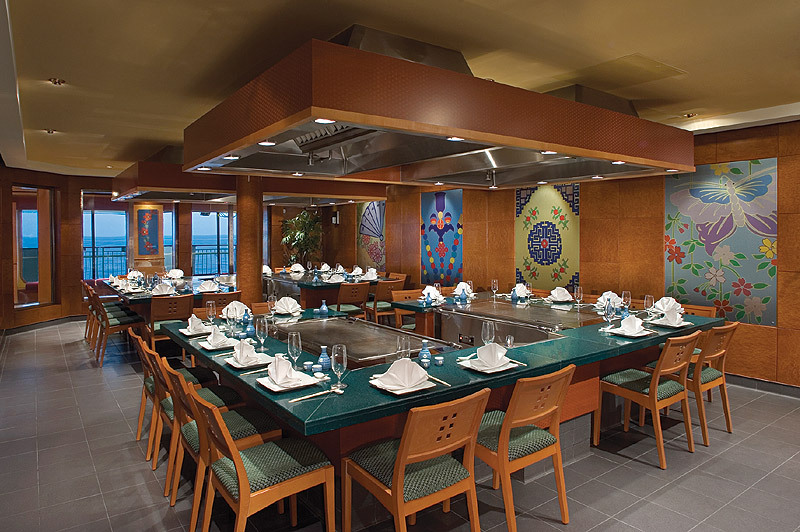 The 2005 built Norwegian Jewel, complete with its hallmark decorated hull artwork, is sure to make a splash by introducing concepts into the Australian market such as its dedicated “The Haven” area for suite guests and its own unique dining options such as Cagney’s Steakhouse, Italian outlet La Cucina and French cuisine at Le Bistro. Popular Broadway show “Burn The Floor” will return to Australia onboard the vessel, albeit making its debut at sea, with the show already featured on Norwegian Epicand Norwegian Escape. Australian cruisers may already be familiar with Norwegian Jewel, with the ship having previously served on the West Coast of the United States, sailing in Alaska and Mexico. Jewel will arrive in Australia after a 39-night Trans-Pacific voyage from Vancouver, Canada which will also see guests able to join the ship in Honolulu and Papeete for shorter segments of 29 and 17 days respectively. The voyage will encompass a significant portion of the South Pacific including multiple ports in Hawaii and French Polynesia. After a grand maiden entrance into Sydney Harbour on November 12th 2017, Norwegian Jewel will kick off its tenure in Australia with a five-night ‘Tasmanian Taster’ voyage to introduce the ship to the local market. This voyage will be the line’s shortest during the season and as such is expected to be one of its most popular. The ship’s program will then see it continue on a series of 13 and 14-night New Zealand voyages, each calling in five Kiwi ports. The Tasman crossings will be preceded by calls to the regional New South Wales port of Eden and Geelong in Victoria – a strong indication Norwegian Cruise Line is eager to show itself off to as many different Australian communities as possible during its first extended stay in Australia in, by that point, over 16 years. 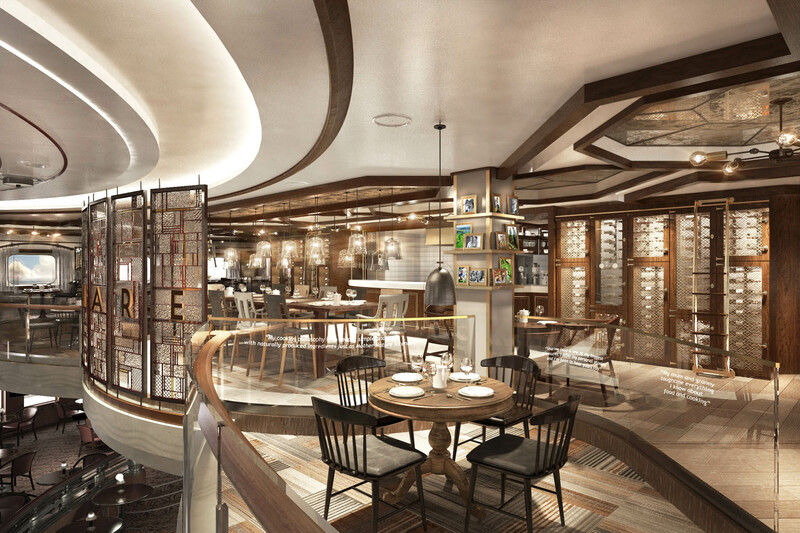 The exclusive ‘Ship within a Ship’ concept, The Haven, will make its Australian debut aboard Norwegian Jewel. Southern Australia itineraries will offer guests with an opportunity to experience the vessel without a passport and will feature calls to ports in four states. The first “Southern Australia” itinerary will provide guests with a chance to drive the Great Ocean Road when the ship becomes the largest passenger vessel to call upon Geelong, while calls to Kangaroo Island & Burnie provide off the beaten track opportunities to discover South Australia and Tasmania. At the conclusion of her inaugural Australian season,Norwegian Jewel will embark guests for a 40-day Grand Asian adventure which is actually three voyages built into one. Brisbane, Airlie Beach, Cairns and Darwin will greet the vessel as it makes its way to Indonesia on an 18-day itinerary, with guests able to disembark in Singapore or continue on for an additional 11-nights to Hong Kong, via Thailand and Vietnam. From there, the option to keep going all the way to Tokyo will take the journey to its 40-day crescendo, arriving in Japan in time for Cherry Blossom season. 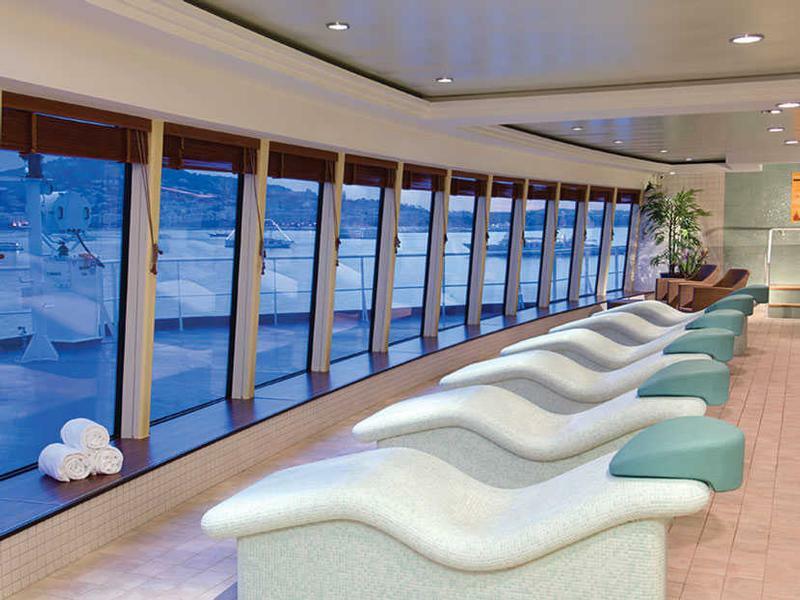 All of Norwegian Jewel’s Australian itineraries go on sale on June 29th 2016. The Norwegian Jewel is the First of four JEWEL Class ships to be built by Norwegian Cruise Line. 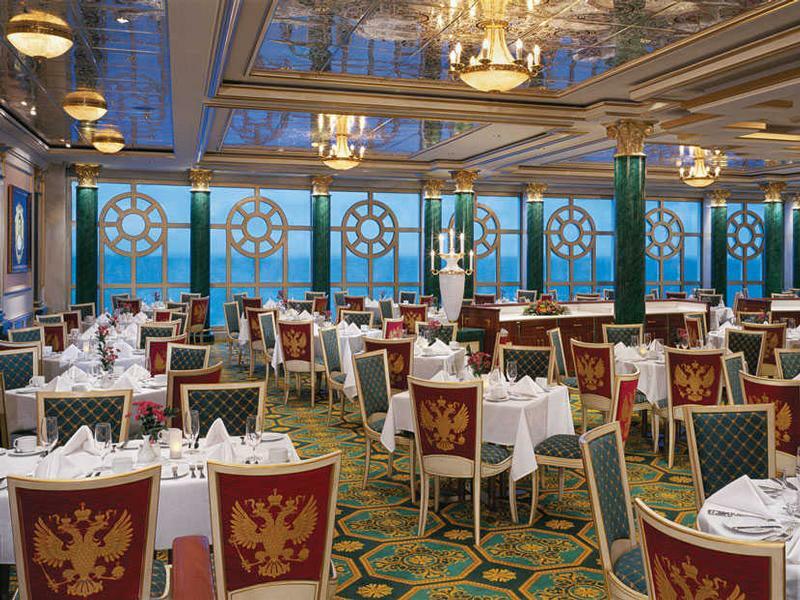 Other ships in the JEWEL Class that were to be built were Norwegian Jade in 2006 [ Formally Pride Of Hawaii ]. Then came along Norwegian Pearl and then in 2007 Norwegian Gem. Norwegian Jewel enetered service on 4 August 2005. 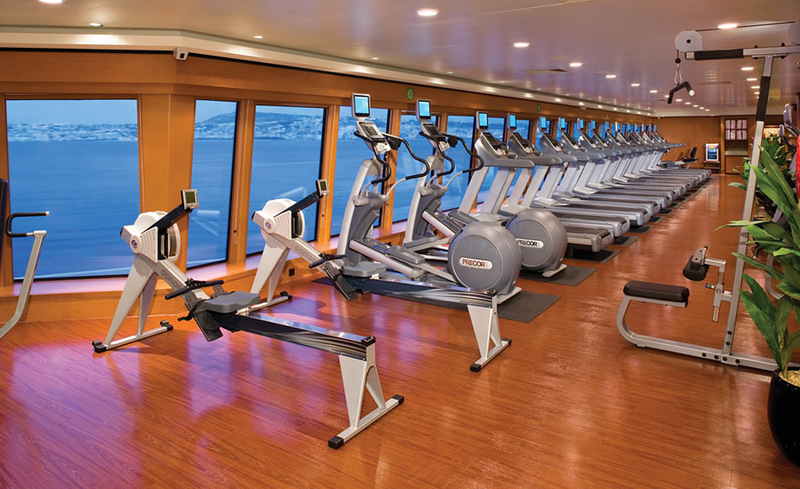 Each ship has its own unique amenities, but has a similar exterior and interior designs. Norwegian Jewel was constructed at the same shipyard as the Norwegian Star and Norwegian Dawn. The shipyard being Meyer Werft Shipyard in Papenburg, Germany. On November 3, 2005 at official ceremony at the Port of Miami. Her godmother is Melania Trump, spouse of Donald Trump. Norwegian Jewel was built after the successful introduction of two Libra-class ships; Norwegian Star, which entered service in 2001, and Norwegian Dawn, which entered service in 2002. 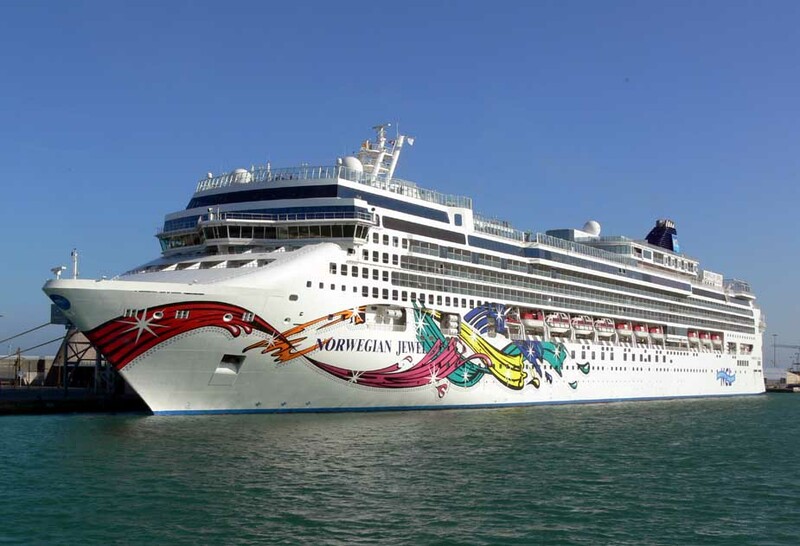 Norwegian Star was name after the successful partnership between Norwegian Cruise Line and Star Cruises. Hence the name Norwegian Star. 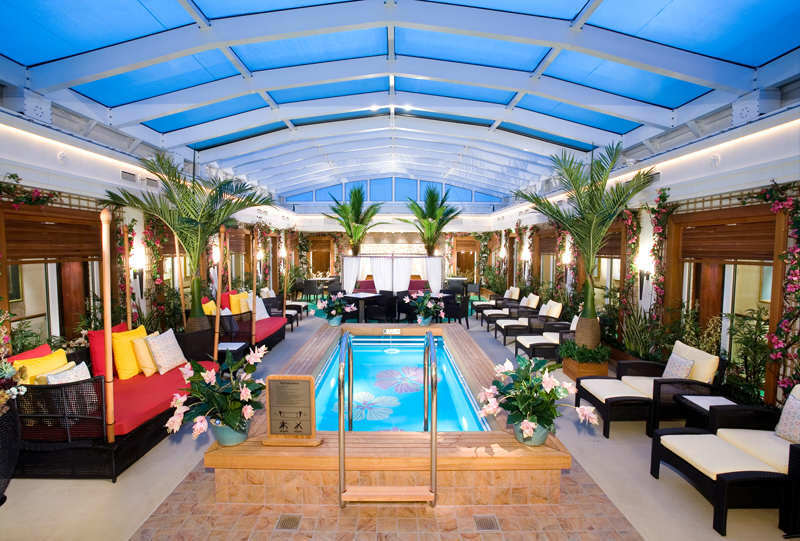 The Libra-class ships Norwegian Star and Norwegian Dawn have nearly the same exterior appearance to the Jewel class, but their interior and amenity differences are totally differnt. This in turn makes the Jewel class designation a difference. 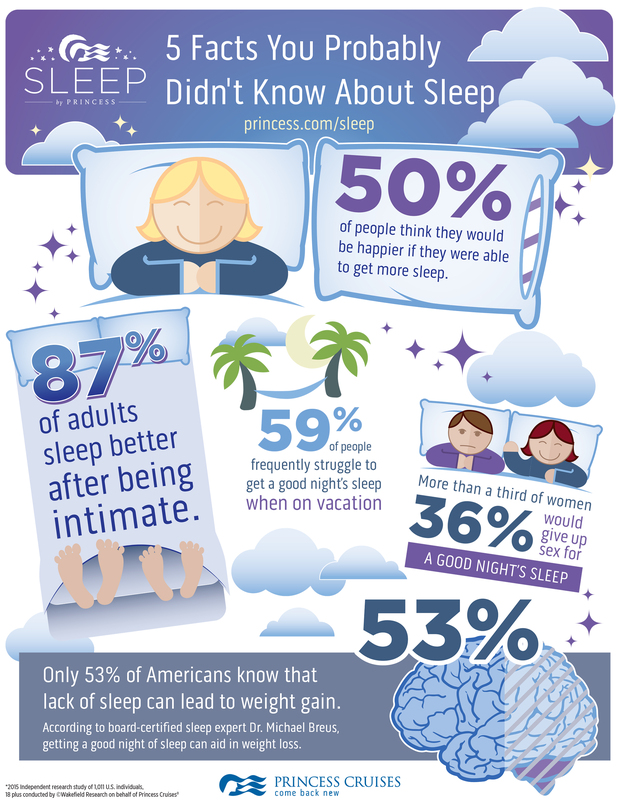 Information supplied by: Norwegian Cruise Line. LEGEND OF THE SEAS TO LEAVE ROYAL CARIBBEAN FLEET. Royal Caribbean has entered into an agreement to sell its ship Legend of the Seas to the UK cruise line, Thomson Cruises, in March 2017. 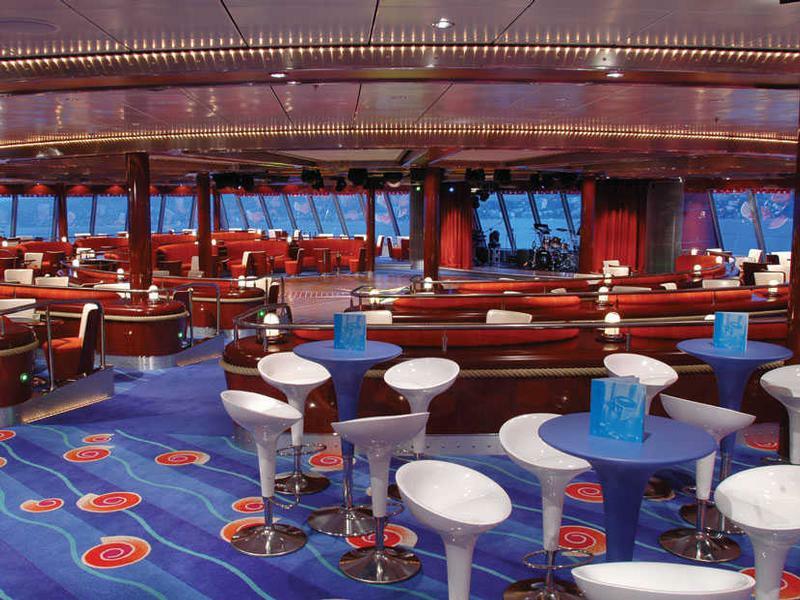 This follows a similar sale of sister ship Splendour of the Seas in 2015. Regrettably, the sale of Legend of the Seas will result in the cancellation of five of her roundtrip Brisbane cruises in February and March 2017. A sixth cruise on 9 April will also be rescheduled, bringing forward her repositioning from Brisbane to Asia to 20 February 2017. This new 11-night sailing to Singapore will mark the ship's final Australian sailing as Legend of the Seas repositions to Europe for delivery to her new owner. All onward itineraries in Asia and Europe on Legend of the Seas will also be affected. Two additional new sailings will be offered from Singapore to Dubai (3 March 2017, 10 nights) and Dubai to Barcelona (13 March 2017, 13 nights). Rhapsody of the Seas will then replace all of Legend of the Seas’ scheduled cruises in the Mediterranean from June to October 2017, with identical itineraries and departure dates, sailing from Venice, Italy. 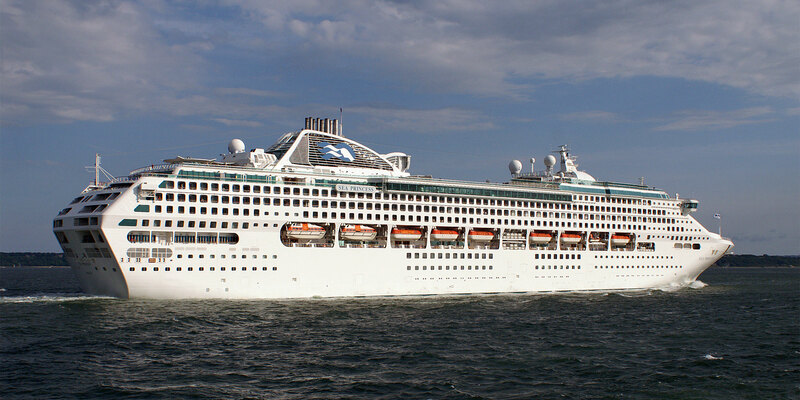 Rhapsody of the Seas’ published cruises over this period, sailing from Cape Liberty, New York have been cancelled. We are truly sorry to disrupt our guests' holidays and sincerely apologise for the inconvenience caused. We will be contacting every affected guest, either directly or through their travel agent, to assist them in securing an alternative Royal Caribbean cruise as well as discussing hotel and flight arrangements. Alternatively, Royal Caribbean will provide a full refund of any deposits paid for those who choose not to cruise. Royal Caribbean has not taken this decision lightly. We did however want to make everyone aware of these changes as soon as possible. If any guest has not received notification of the changes to their cruise by 5pm AEST, 3 June 2016, and they booked via a travel agent, we ask that they please contact their agent, who will have received the detail of available compensation options ready to discuss. Unfortunately, we are unable to contact guests directly if they booked via a travel agent. It's with great sadness that we bid a fond farewell to Legend of the Seas from Australian waters in February 2017, however Royal Caribbean will continue to cruise to Queensland. Voyager of the Seas, Explorer of the Seas and Radiance of the Seas will all make multiple calls to Brisbane, Cairns and the Whitsundays this season, plus Australia’s very first new-build and the newest cruise ship to be added to the Royal Caribbean locally-based fleet, Ovation of the Seas, will debut down under in December 2016, marking her maiden Queensland call in February 2017. 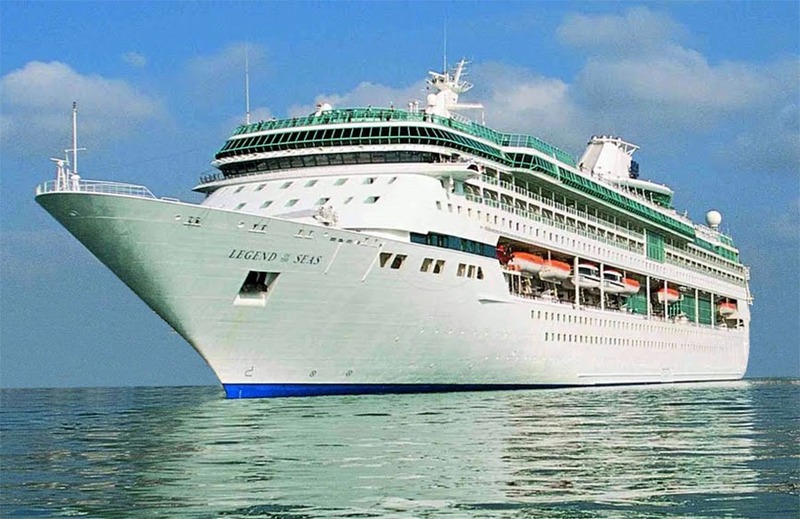 Legend of the Seas debuted in 1995, and home ported at Portside Wharf, Hamilton in Queensland for the 2015/16 summer season, with a second season to follow from November 2016. Her final Australian sailing will depart Brisbane on 20 February 2017. For more information, please contact us on1800 754 500 (Australia) or 0800 102 123 (New Zealand). THOUSANDS OF SUPPORTERS OF THE QUEENSLAND MAROONS INVADE N.S.W. 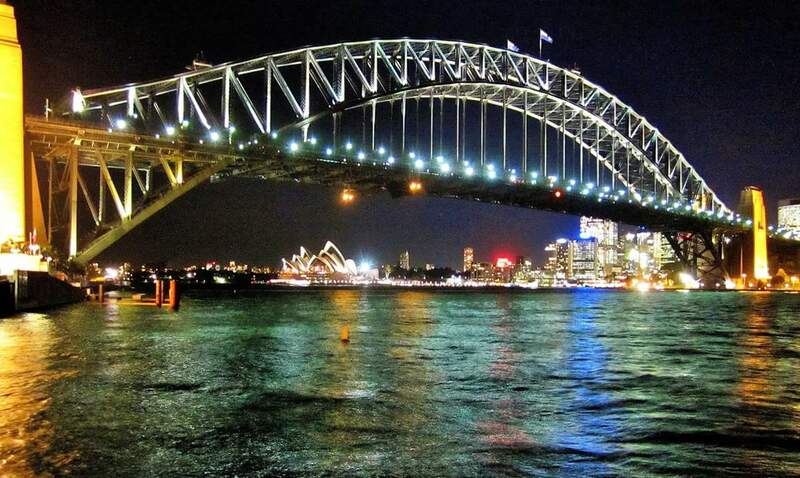 , AS FIRST ORIGIN CRUISE SAILS INTO SYDNEY. Thousands Of Supporters Of The Queensland Maroons Invade NSW, As First Origin Cruise Sails Into Sydney. In a colourful sea invasion from the north, a ship load of rugby league fans and ex-players sailed into Sydney this morning on the first ever Holden State of Origin cruise from Brisbane. 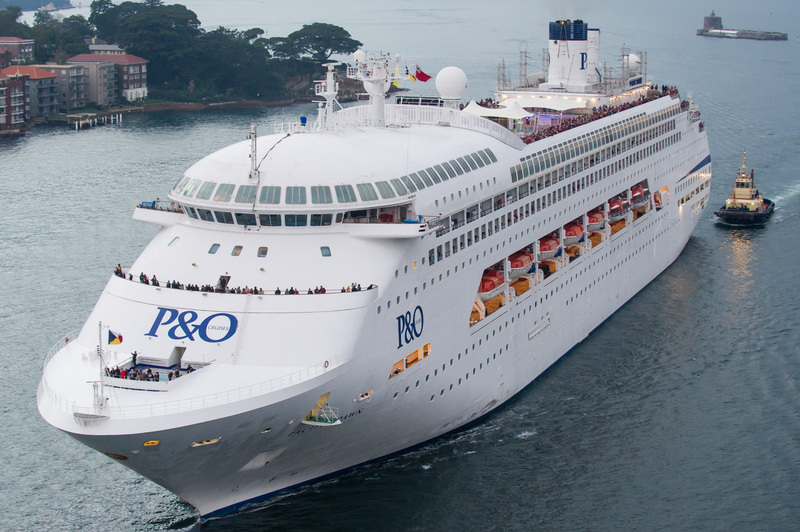 P&O Cruises’ Pacific Dawn arrived in Sydney about 630am, cruising past the Opera House and docking at White Bay for a special overnight visit, with all guests receiving entry and transfers to the Origin opener as part of the cruise fare. With 2000 predominantly Queensland guests onboard, the ship has carried a significant number of the Maroons fans expected at ANZ Stadium tonight. The seven-night roundtrip cruise departed Brisbane on Saturday, calling at Moreton Island on Sunday where past players including Queenslanders Steve Price and Petero Civoniceva and Blues legends Steve Menzies, Paul Harragon, Steve Roach and Paul Sironen went head to head with guests in a game of beach touch football. The ship also called at Newcastle yesterday. During the cruise, fans have enjoyed a range of league-themed activities from Origin trivia hosted by Foxtel presenter Steve Hart plus photo opportunities and Q&A sessions with the former players. When the ship sails home to Brisbane tomorrow, there will be a Holden State of Origin post game wrap-up featuring Steve Roach, Paul Sironen, Petero Civoniceva and Steve Price which will be broadcast live on Facebook. P&O Cruises President Sture Myrmell said the cruise line’s expansion to a five-ship fleet had allowed it to bolster its event offering to include one of the biggest fixtures on the local sporting calendar, with the cruise proving to be a sell-out. 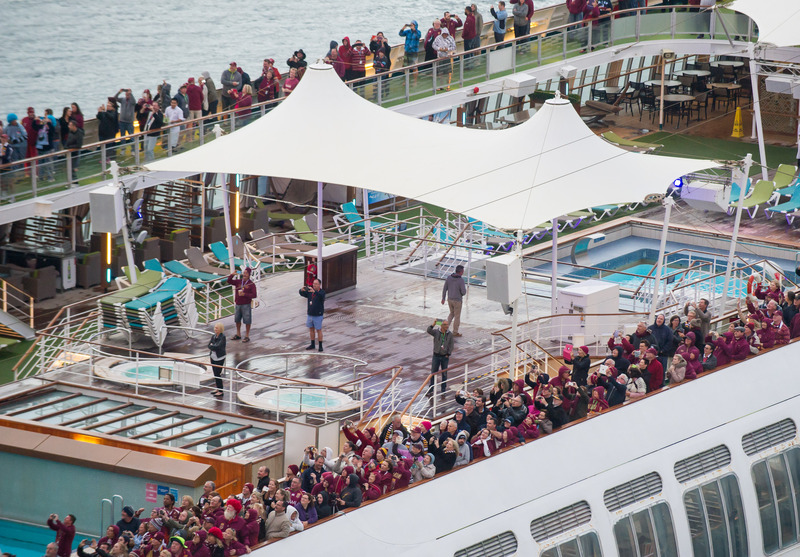 “Whether or not the Maroons take home the Origin trophy in 2016, this cruise is a big win for Queensland footy fans. As well as transport, accommodation, food and entertainment, guests on the inaugural State of Origin cruise are getting some of the hottest tickets in town included as part of their cruise fare - it’s seriously great value,” Mr Myrmell said. "MAGIC TO DO: THE STORY BEHIND THE MAGIC" FILM DEBUTS ON PRINCESS CRUISES. 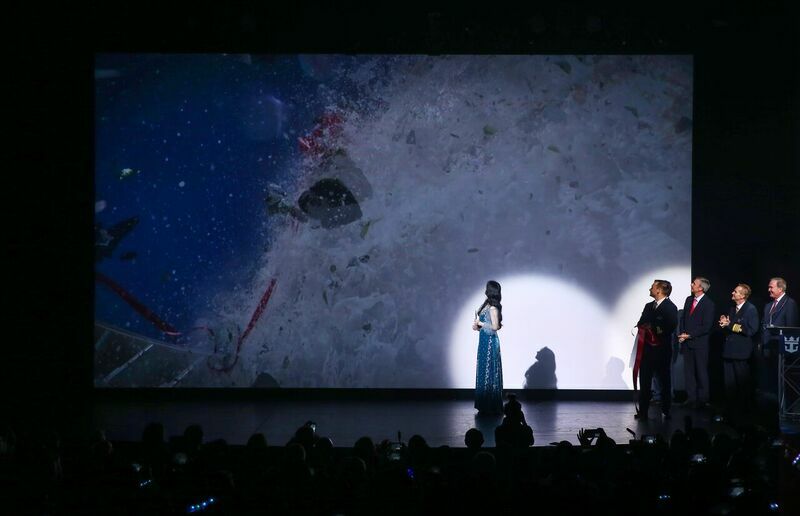 “Magic to Do: The Story Behind The Magic” Film Debuts On Princess Cruises. Princess has celebrated its partnership with award-winning Broadway composer Stephen Schwartz with the launch of a special documentary, Magic to Do: The Story Behind the Magic. The 25-minute documentary chronicles the journey of Schwartz’s first musical revue with Princess, Magic to Do. Magic to Do premiered to rave reviews late last year and will debut in Australian waters in November this year, when Emerald Princess arrives for her maiden season Down Under. The documentary gives viewers a behind-the-scenes look at how the show came together through the direction and creative talent of Schwartz, as well as a cadre of Broadway and Hollywood talent, cast members and the Princess Cruises entertainment department. The documentary is available on the cruise line’s YouTube Channel (link to video) and will also air regularly on Movies Under the Stars outdoor theatres and stateroom televisions across the line’s fleet, as well as on princess.com. 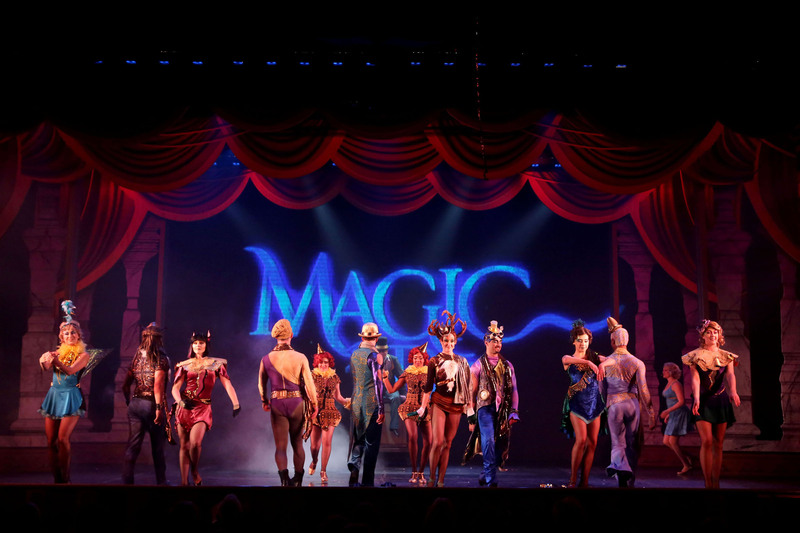 Magic to Do, Schwartz’s first production for a cruise line, celebrates his lifelong fascination with magic and combines thrilling illusions with some of his most famous songs, such as Magic to Do from Pippin and Defying Gravity from Wicked. The show also includes a brand new song written exclusively for Princess called A Little Magic. 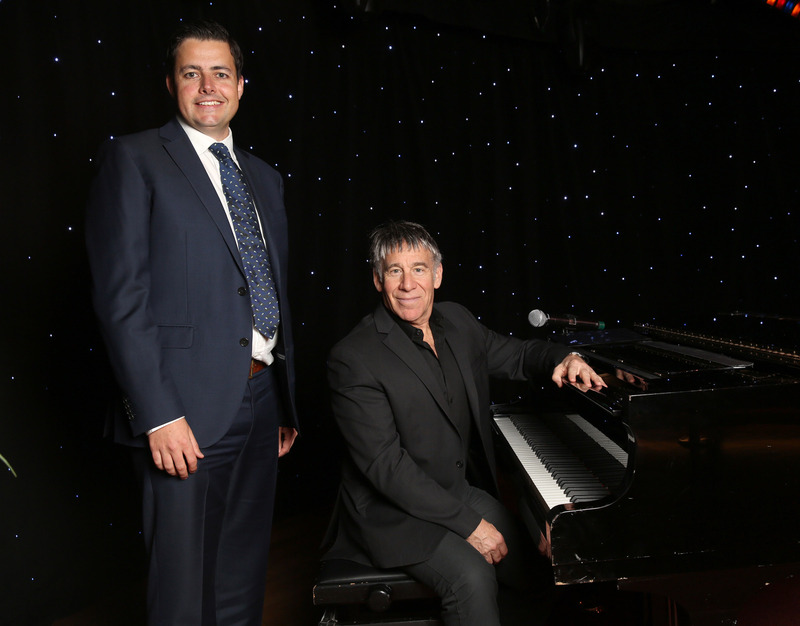 “Our partnership with Stephen Schwartz has been an incredible, collaborative opportunity for everyone involved so we wanted to chronicle the entire journey of the making of his first musical at sea with The Story Behind the Magic,” Princess Cruises Vice President Australia & New Zealand Stuart Allison said. Princess’ partnership with Schwartz will see the creative development of a total of four new musicals to debut across the fleet over the next few years. During his 40-year entertainment career, Schwartz has won four Grammys, three Academy Awards for “Best Song” and “Best Score” for Pocahontas and “Best Song” for The Prince of Egypt and received the Isabelle Stevenson special Tony Award. He is the only songwriter in Broadway history ever to have three shows run more than 1900 performances. The documentary and images can be found here. Additional information about Princess’ partnership with Stephen Schwartz can be found at http://www.princess.com/schwartz. Cruise The Seas Travel Ands Media, Cruising Australia The HOME Of Australian Cruising! CUNARD'S WORLD'S FINEST WINE CELLAR AT SEA, IT'S A FIRST FOR IT'S SOPHISTICATED GUESTS. Cunard"s World’s Finest Wine Cellar At Sea, Its A First For Its Sophisticated Guests. Guests onboard Cunard’s flagship Queen Mary 2 will now be able to indulge in a unique collection of 450 fine wines, including the highly sought after California Screaming Eagle – retailing for US$4500 per bottle – which is to be served by the glass for the very first time. 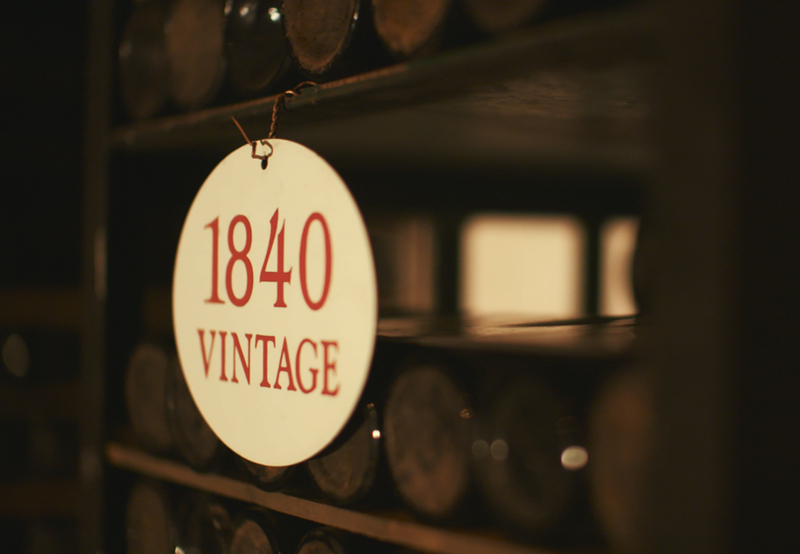 Cunard has also assembled a unique collection of vintage port wines, the only assortment of its kind in the world, to join the enhanced wine cellar. The 46 different vintage ports, each produced in a key year of Cunard's 176-year history, will form part of a specially commissioned permanent display in the new Carinthia Lounge created as part of the ship's major 25-day refit taking place between May 27 and June 21, 2016. To enhance guests’ enjoyment of the elegant wines without compromising the quality, the cruise line has introduced a new Coravin™ wine pouring system, which uses a needle to extract the desired quantity of wine required from a bottle. 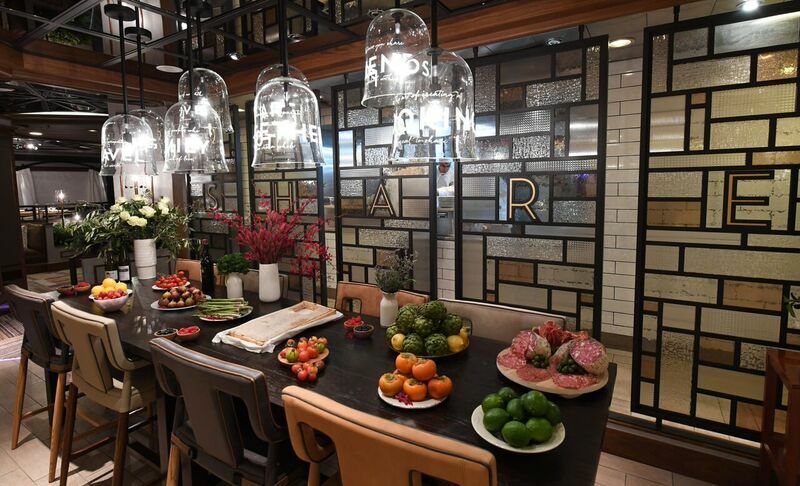 In addition, Queen Mary 2’s guests can also now experience The Cunard Wine Academy, an all sensory experience of food and wine pairings, tastings and producer master classes, which will offer guests another exclusive and enriching experience during their Cunard voyage. AUSTRALIAN CRUISE PASSENGER NUMBERS SKYROCKET TO A NEW HIGH, THANKS TO DOMESTIC CRUISING ! A surge in domestic cruises has helped drive Australian ocean cruise passenger numbers to a new high, according to an industry report released today. The report shows that the total number of Australians taking an ocean cruise worldwide swelled by almost 15 per cent in 2015 to reach a record 1,058,781 passengers, with a 42 per cent hike in domestic cruise passenger numbers contributing significantly to the result. The growth in cruising in Australian waters saw local passenger numbers rise by more than 80,000 to 269,915 – a result which means one in four Australian cruise passengers took a domestic ocean cruise last year. Meanwhile the number of Australians taking an ocean cruise in Asia jumped 71.5 per cent from 55,000 in 2014 to 95,000 in 2015. Released in Sydney today, Cruise Lines International Association (CLIA) Australasia’s 2015 Australian Cruise Industry Source Market report reveals that Australia once again leads the global cruise industry in terms of market penetration, with the equivalent of 4.5 per cent of the Australian population taking a cruise last year. The industry’s 14.6 per cent annual growth rate was the second highest recorded by an international cruise region last year, with only the emerging market of China reporting stronger growth (40.3 per cent). The annual report, which is now focussed solely on ocean cruising in line with international CLIA reporting, shows that Australian ocean cruise passenger numbers have increased by an impressive annual average of 19.2 per cent since 2006. The study also found that 135,000 more Australians took a cruise last year than in 2014 - one of the biggest increases on record in real terms. Commenting on the report’s findings, CLIA Australasia Chairman Steve Odell said Australians were responding to the increasing array of cruises on offer. “In 2015 we saw a range of new shorter coastal cruises sailing from Australian homeports and these have clearly captured the imagination of Australians, who see them as a new way to explore their nation,” Mr Odell said. Mr Odell said the expanding range of cruise options in Asia was also tempting Australians, with new itineraries available from China, Japan and Singapore in 2015. * The South Pacific maintained its position as Australians’ favourite cruise destination attracting more than one-third of ocean cruise passengers (383,889). Australia was the second favourite destination. * At a State level, NSW was the biggest source of cruisers (421,950) while Queensland recorded the strongest growth with cruise numbers from the State rising by almost 30 per cent compared to 2014, giving the state a record population penetration rate of 5.9 per cent. The annual source market report is based on data received from CLIA’s cruise line members, which account for more than 95 per cent of the world’s cruise passengers. Information supplied by: CLIA [ Cruise Lines International Association Of Australasia ]. AUSTRALIANS CONTINUE TO CRUISE AND SO DO THE ECONOMIC BENIFITS TO A BOOMING CRUISE INDUSTRY ! Another record increase in Australian cruise passenger numbers – the thirteenth consecutive year of double digit industry growth – has confirmed Australia-wide momentum in the expansion of cruise generated economic benefits. Carnival Australia Executive Chairman Ann Sherry said the latest industry figures also highlighted the growing maturity of the Australian cruise market and the abundance of choice Australians enjoy in brands, ships, itineraries and destinations. The new Cruise Lines Industry Association (CLIA) Australasia figures show a 42 per cent leap in the number of Australians cruising on domestic cruises which helped drive strong growth in the total number of Australians taking an ocean cruise worldwide last year. “With its seven distinctive cruise brands, Carnival Australia is delighted to have contributed significantly to the latest surge in passenger numbers and the dramatic geographic expansion of cruising across Australia. “In recent years, we have opened 14 new destinations to cruise ship visits while home porting ships in Sydney, Brisbane, Adelaide, Fremantle, Melbourne and, later this year, in Cairns, our first regional port to have a ship home ported. However, the industry report has again highlighted the need for investment in port facilities particularly in Sydney as Australia’s cruise gateway. Carnival Australia continues to seek the certainty of long term access to berths east of Sydney Harbour Bridge. 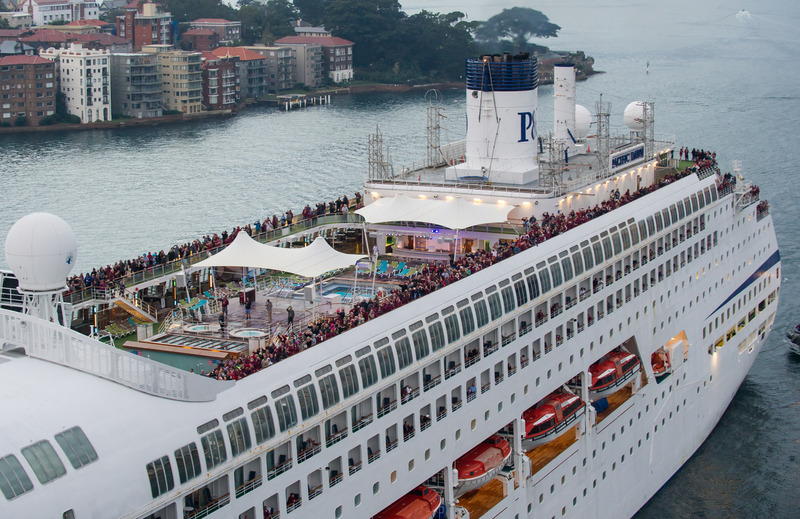 Carnival Australia accounts for seven iconic cruise brands – P&O Cruises Australia, Princess Cruises, Cunard Line, Holland America Line, P&O Cruises World Cruising and Seabourn. Information supplied by: Carnival Australia. 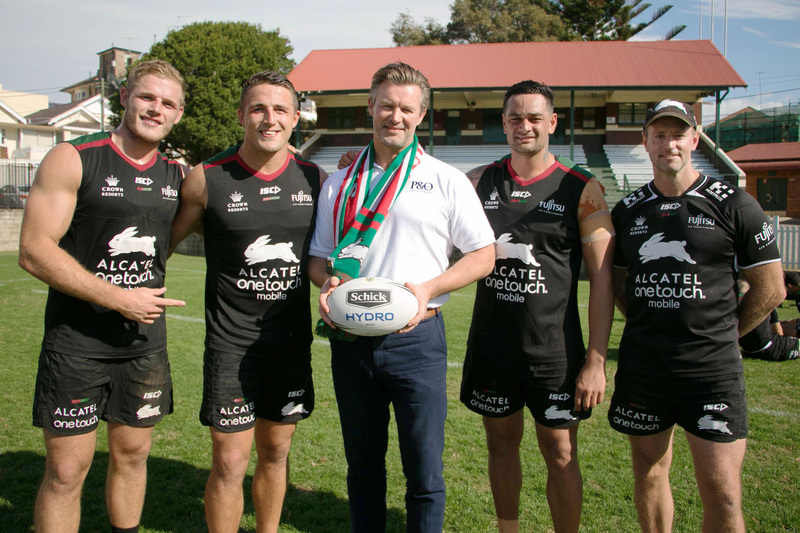 P&O CRUISES AUSTRALIA TO BECOME GAME DAY SPONSOR FOR RABBITOHS CLASH IN CAIRNS. CARNIVAL LEGEND MAKES MOVE TO BRING THE FUN BY HOMEPORTING IN MELBOURNE FROM 2018. Carnival Cruise Line is taking the good times south, announcing plans to base its superliner Carnival Legend in Melbourne for a record season of cruises in early 2018. Known for its fun holiday offerings – including its top-deck splash park and jaw-dropping Green Thunder waterslide – the 2680-guest Carnival Legend will sail on six roundtrip cruises from Melbourne during February and March 2018, offering Victorians a new way to holiday at sea. 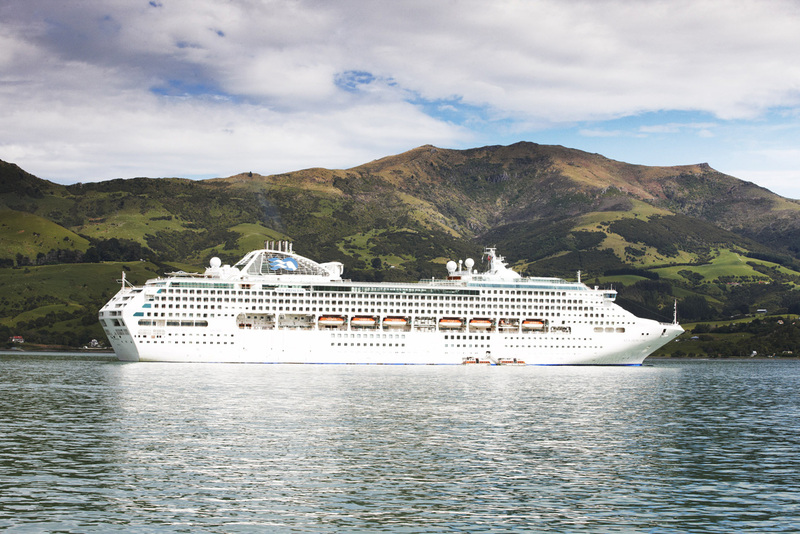 Cruises will range from three-night short cruises enabling holidaymakers to enjoy a short break at sea, to an 11-night voyage around New Zealand, with a four-night itinerary to Tasmania and a 10-night cruise to the South Pacific also available. Carnival Legend’s maiden Melbourne season will mark the first time Carnival has cruised from Victoria since 2013, when Carnival Legend’s Australian-based sister ship Carnival Spirit offered two roundtrip cruises from Melbourne. Fares on a Carnival Legend three-night cruise start from $549* per person twin share for the March 16, 2018 departure, while fares on Carnival Legend’s 11-night New Zealand cruise, which visits the Bay of Islands, Auckland, Tauranga and Napier, start from $1499* per person twin share. A second 10-night New Zealand cruise will take in the sights of the South Island, as well as Wellington, with fares from $1249* for the February 21, 2018 departure. Meanwhile the four-night cruise to Tasmania, departing February 17, 2018 will be priced from $699*. Carnival Cruise Line Vice President Australia Jennifer Vandekreeke said the cruise line was excited to head south, particularly given the growing number of Victorian guests sailing on Carnival’s cruises from Sydney. “Homeporting from Melbourne allows us to expand our offering to include more of our popular New Zealand cruises and short breaks, and also gives Victorians the chance to take a Carnival cruise direct from their doorstep, enjoying all the fun features that have made Carnival Legend such a hit north of the border,” Ms Vandekreeke said. 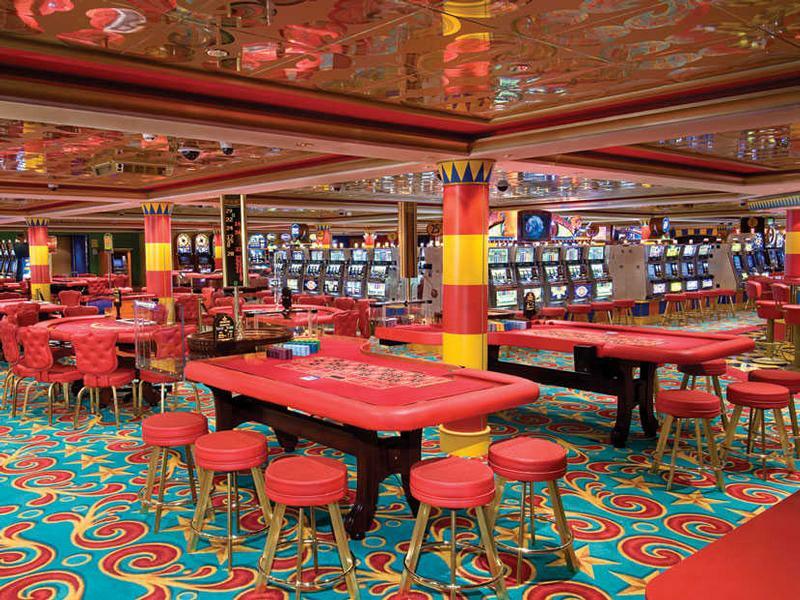 Spanning 12 decks, the 293-metre long Carnival Legend features more than 20 restaurants, bars and lounges, as well as its popular Green Thunder – the fastest and steepest waterslide at sea – and entertainment offerings unique to Carnival including Hasbro, The Game Show and the whimsical Seuss at Sea program. A regular summer visitor to Australia since 2014, the 88,500-tonne superliner also offers a sports court, jogging track and two-deck fitness centre. Announcing the record Melbourne season, Ms Vandekreeke said Carnival was also preparing to launch a range of entertainment initiatives, including new onboard parties, a dedicated arts and craft area and interactive games, with more details to be unveiled over the coming months. 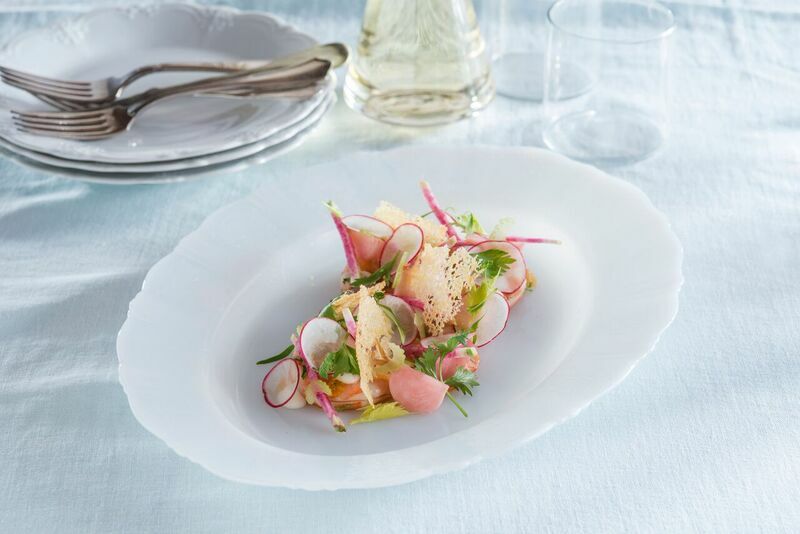 CURTIS STONE'S RESTAURANT "SHARE" ARRIVES IN AUSTRALIA, ON BOARD SUN PRINCESS. 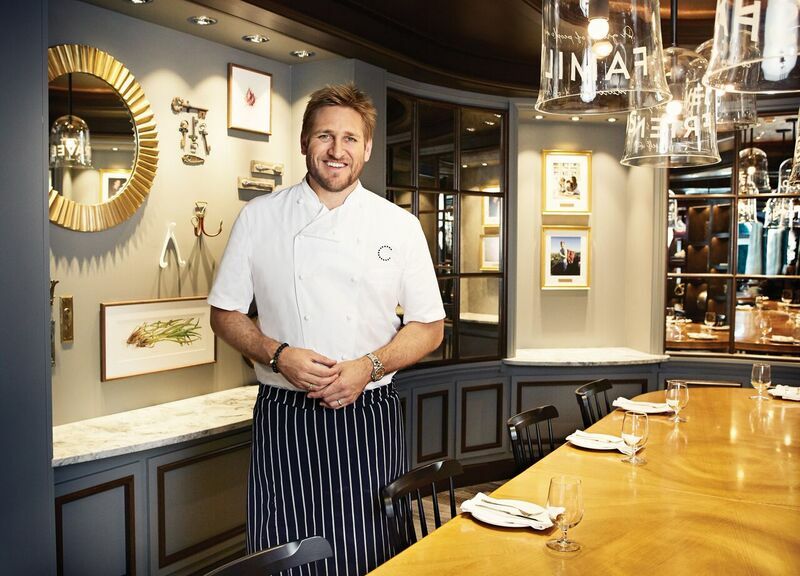 Curtis Stone’s Restaurant "SHARE" Arrives In Australia, On board Sun Princess ! 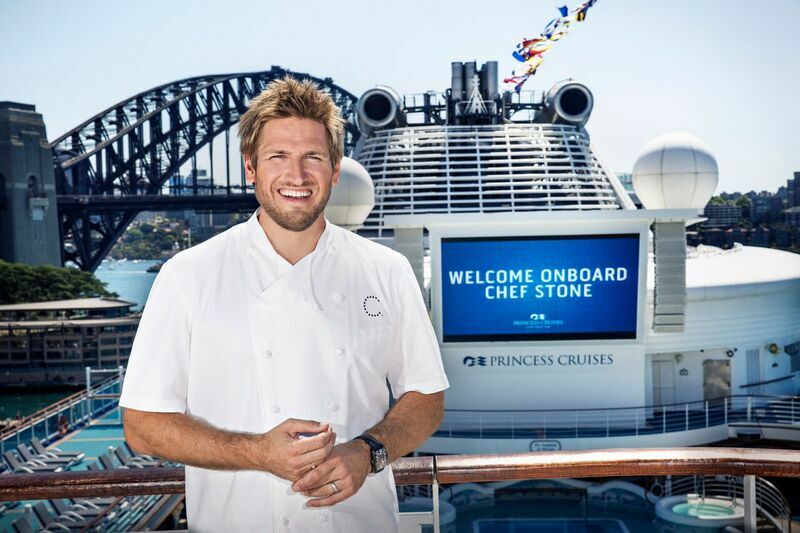 Australians can finally enjoy a taste of Chef Curtis Stone’s cuisine close to home with his first local restaurant arriving down under on Princess Cruises’ superliner Sun Princess. 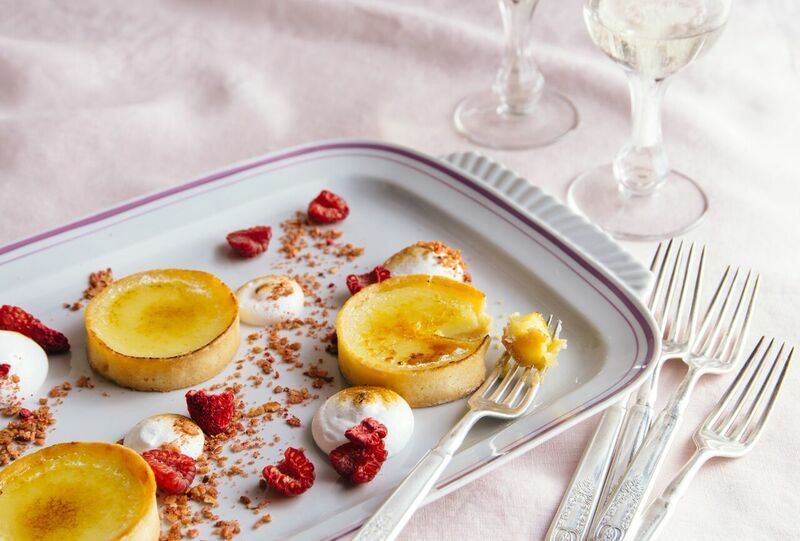 While Australians are very familiar with the Melbourne-born chef, SHARE by Curtis Stone is the first opportunity to taste his cuisine locally. Curtis opened his first restaurant Maude in Beverly Hills in 2014 and is also in the midst of opening his second restaurant Gwen in Hollywood. His debut closer to home follows an exclusive partnership with Princess Cruises which features “Crafted by Curtis” menu items in the main dining rooms across the entire 18-ship fleet, the introduction of the signature SHARE restaurant to three ships and also a special Chef’s Table by Curtis Stone experience. By the end of this year, two of Curtis’ restaurants will operate in local waters with SHARE also featuring on Emerald Princess, which arrives in Sydney in November for its first Australian season. 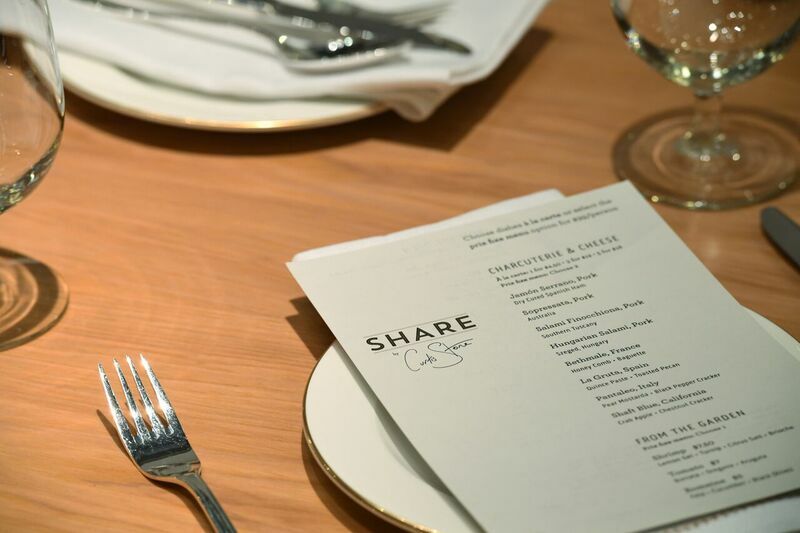 SHARE offers an exclusive specialty dining experience for guests with a menu of fresh and seasonal signature dishes in an environment designed for conversing and creating memories. Curtis has crafted the SHARE menu for Sun Princess specifically for Australian tastes including a charcuterie board, bread and butter pudding and freshly composed salads including a spin on the classic marriage of tomato and burrata, as well as lightly poached shrimp with lemon gel, turnip, citrus salt and brioche. 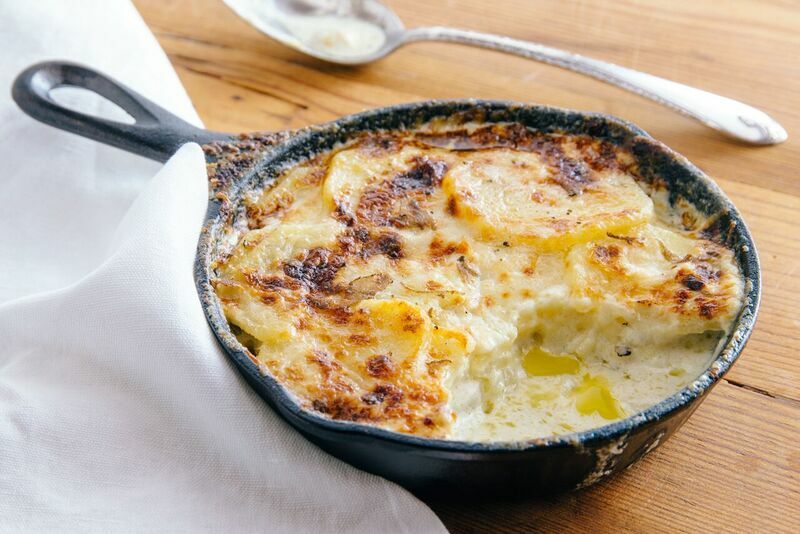 A fresh truffle potato gratin and turbot bake beautifully in a deck oven, installed especially on Sun Princess to create a unique roasted flavour to appeal to Australian palettes. 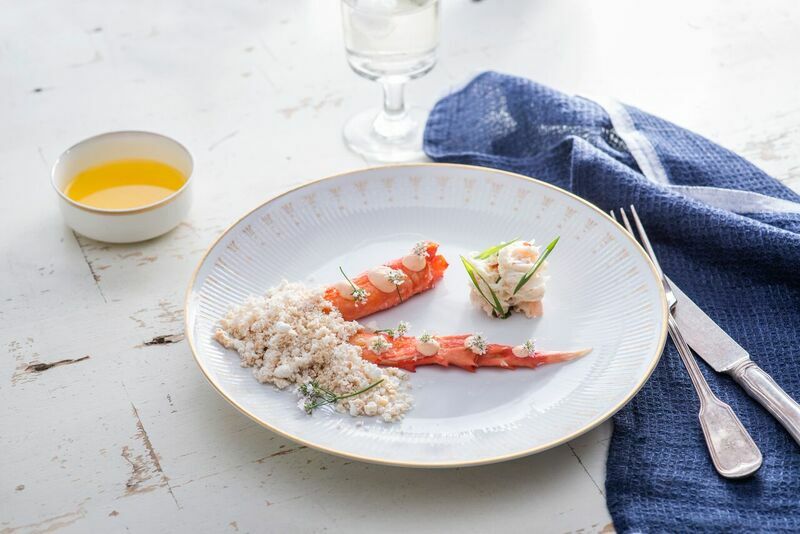 Curtis’ favourite dish is the roasted king crab leg which is baked with lemongrass and paired with a chicharron powder (crispy pig skin crumble) along with a fermented soybean aioli, while the roast chicken with a bacon slab and onion slaw has become the fast favourite among guests. In a nod to Australian wine and produce, the wine list features 22 local wines, Curtis uses Murray River salt in his cooking and Australian beef is used in the beef cheek pie. 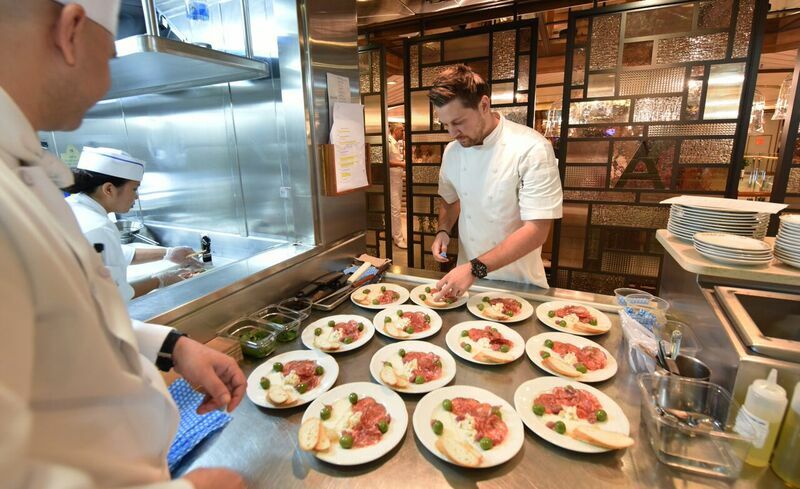 Princess Cruises Vice President Australia and New Zealand Stuart Allison said it was a thrill to have someone of Curtis Stone’s calibre creating memorable culinary experiences for guests. 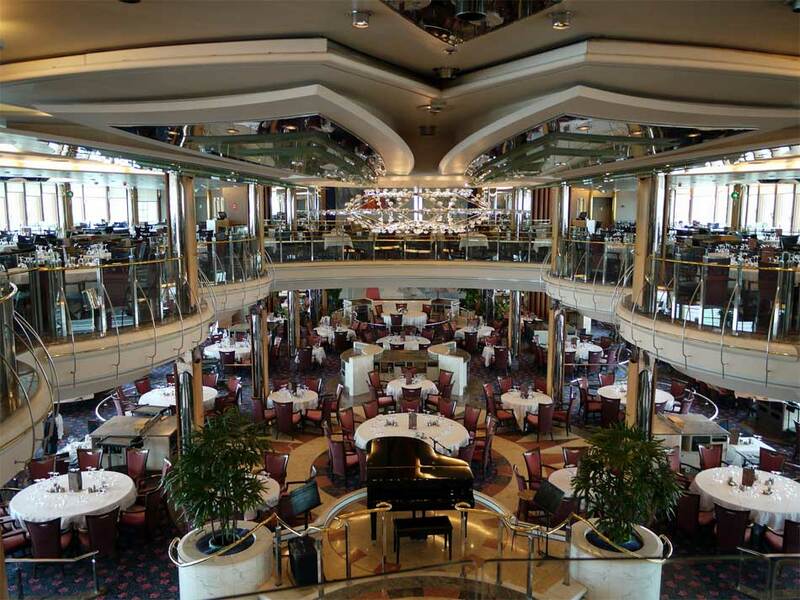 “Curtis has created a beautiful menu for SHARE on Sun Princess. Over a shared meal and a glass of Australian wine, we know our guests will feel right at home dining in SHARE, just as we hope they always feel on a Princess cruise,” Mr Allison said. Curtis said he was thrilled to be able to share his cuisine with Australians close to home. “I’m really proud of SHARE and hope that it becomes a special part of Australians’ holiday memories and their experience at sea with Princess. Sharing is at the core of my food philosophy so it was only natural that the restaurant be named SHARE. Connecting with friends and family over conversation and cuisine is what a speciality dining experience is all about,” Curtis said. 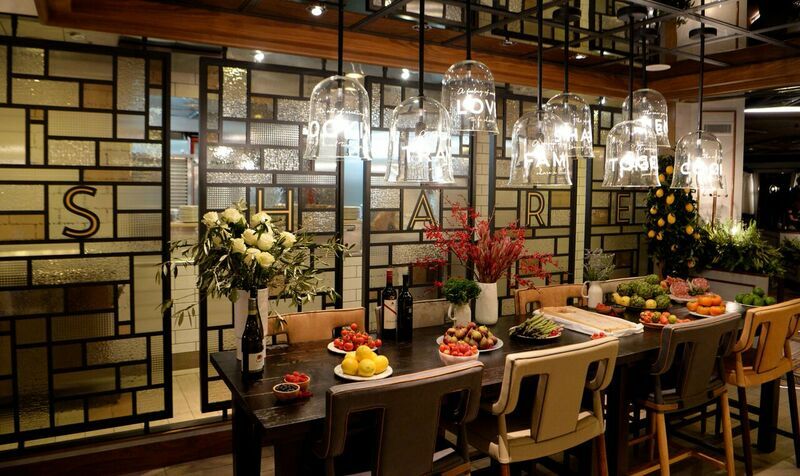 World-renowned hospitality designer Jeffrey Beers International designed the restaurant space to reflect Curtis’ creative vision, a space with a comfortable, homely atmosphere that stems from his own memorable mealtime experiences. A signature feature of SHARE is a communal table designed for sharing, while words that encompass the experience, like family, travel and togetherness, have been etched into hand blown glass pendants. Elements not often seen in a cruise ship restaurant add to the friendly atmosphere, with decorative curios from Curtis’ own collection including his first recipe as well as photographs and travel souvenirs. AUSTRALIANS HEAD TO SEA TO ESCAPE THE WINTER BLUES, ON SEA PRINCESS. Hundreds of dedicated cruisers sailed from Sydney yesterday on an epic 104-night world voyage, enhancing Australians’ reputation as one of the world leaders in cruising. The dedicated cruisers will escape Australia’s winter by heading north on Sea Princess on a journey which will visit 39 destinations in 27 countries and cover more than 28,000 nautical miles around the globe before returning to Sydney in late August. Despite their international travels, the guests are also escaping the fluctuation of Australia’s exchange rate, with the cost of the cruise, on-board spending and shore tours in international ports charged in Australian dollars. Priced from $200 a day per person, the cruise also enables travellers to see the world without the expense of international airfares. 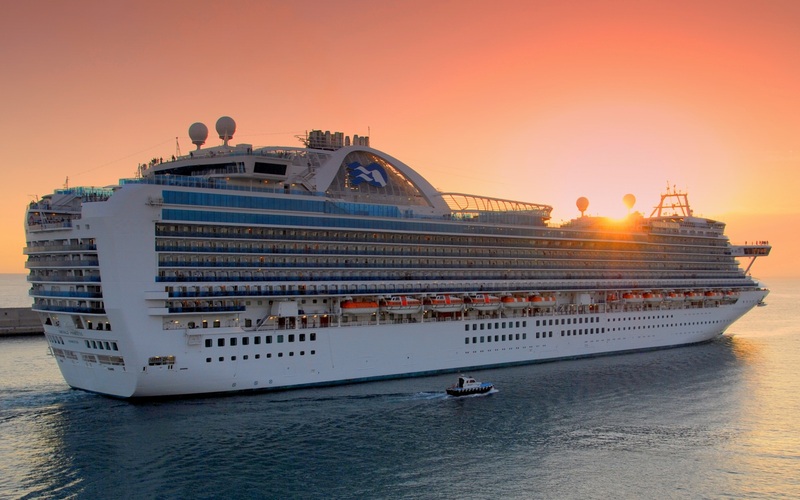 Since it pioneered the first roundtrip annual world voyage from Sydney in 2008, Princess Cruises has carried more than 30,000 Australians on 10 global odysseys. With two world cruises operating in both 2012 and 2013, this year’s world cruise is the 11th the cruise line has undertaken from Australia. Highlights of the cruise include overnight visits to Dubai, St Petersburg, New York and Lima as well as transits of the Suez and Panama canals, and calls to Colombia, Ecuador, Peru and Chile, including the remote Easter Island. Princess Cruises is the only cruise line to offer a roundtrip world cruise from the southern hemisphere. The popularity of the cruises reflects Cruise Lines International Association (CLIA) Australasia figures that show the number of Australians cruising has grown by an average of 20 per cent a year for the past decade, with more than 12,000 Australians taking a world voyage in 2014 according to the latest data. Close to 3200 guests will travel on part or all of the world voyage over the next 104 nights. Almost 1300 are doing the full world cruise, including around 1100 Australians. Ensuring guests will still have a taste of Australia while they travel the world, about 200 tonnes of food and beverage items were loaded onto the ship in Sydney. World cruise guests consume about 400kg of beef, 240 dozen eggs, 150kg of shell fish, 1700kg of fresh vegetables and more than 50kg of chocolate a day. The 77,000-tonne Sea Princess offers a premium cruising option from a range of Australian homeports. It features a high number of staterooms with private balconies, along with multiple dining options, including the cruise line’s new Curtis Stone menu items, and signature Princess innovations such as the popular Movies Under the Stars poolside theatre and The Sanctuary, an exclusive top-deck retreat. Next year Princess will offer three world cruise options for Australasian travellers: a 104-night round world cruise on Sea Princess, a 75-night Circle Pacific cruise on Golden Princess as well as an 84-night Circle South America cruise on Sea Princess. Fares start from $13,299* per person twin share for the 75-night Circle Pacific voyage. 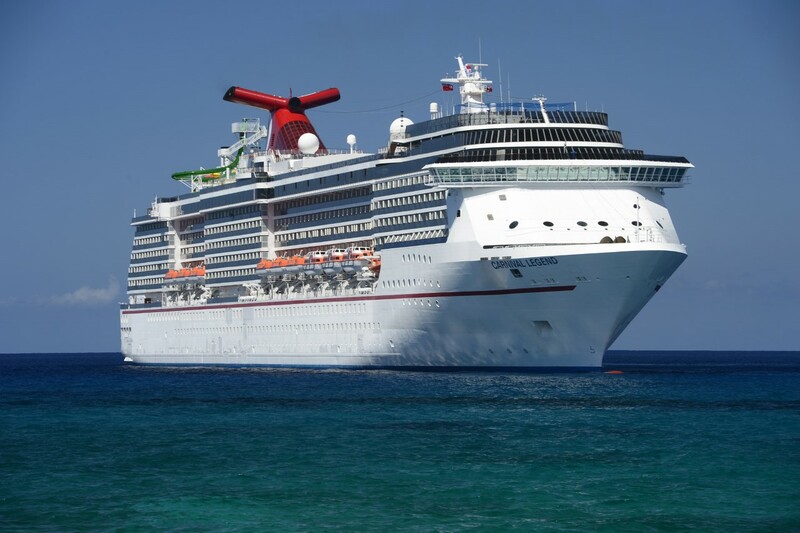 CARNIVAL CRUISE LINE UPS THE ANTE WITH NEW WIFI PLANS FOR SOCIAL MEDIA. Carnival Cruise Line’s guests will be well-connected following the launch of cheaper and faster internet and social media packages on the cruise line’s Australia-based ships this month. 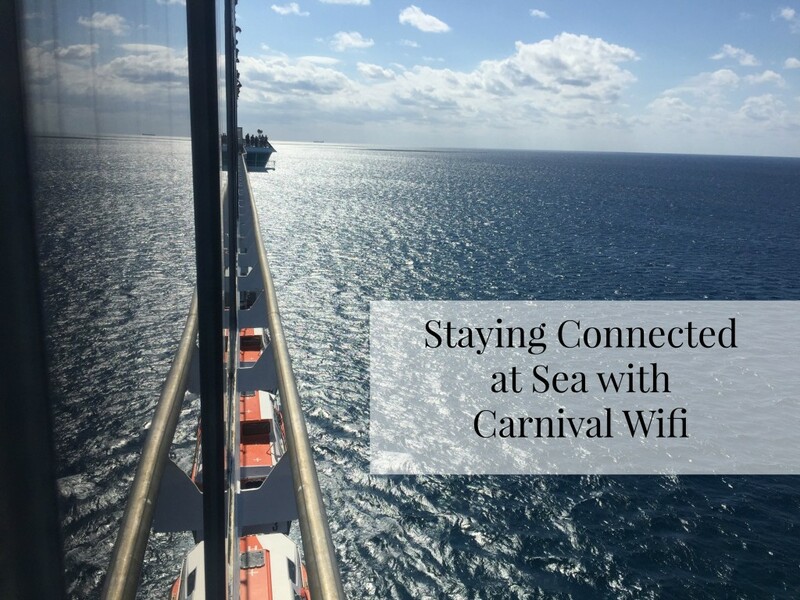 In a move which sets a new course for local cruisers, Carnival’s enhanced internet access offers significantly increased bandwidth and speed, while its new social media package provides unlimited access to popular sites like Twitter, Facebook, Instagram and Snapchat from just $15 a day. Additional discounted plans are also available for the entire cruise duration. Carnival Cruise Line Vice President Australia Jennifer Vandekreeke said the cruise line wanted to make it easier for its guests to share their holiday with friends, given the role social media now plays in people’s lives, particularly when travelling. “Access to flexible and affordable internet is really important for many of our guests. We know that they want to keep in touch with their friends and families and they also want to keep them posted on how much fun they’re having at sea,” Ms Vandekreeke said. “With this in mind we’ve tailored our packages to focus on the social media sites and apps that our guests use most and ramped up our bandwidth to give our guests unprecedented internet access at sea, which means they can now upload as many selfies as they like and easily check in to all the fantastic ports they visit during their cruise,” she said. The new offerings include a value plan with unlimited access to the web for checking email, sports scores, weather updates and a wide range of extra apps, and a premium package that provides the fastest available connection speed and also supports video calls on Skype. 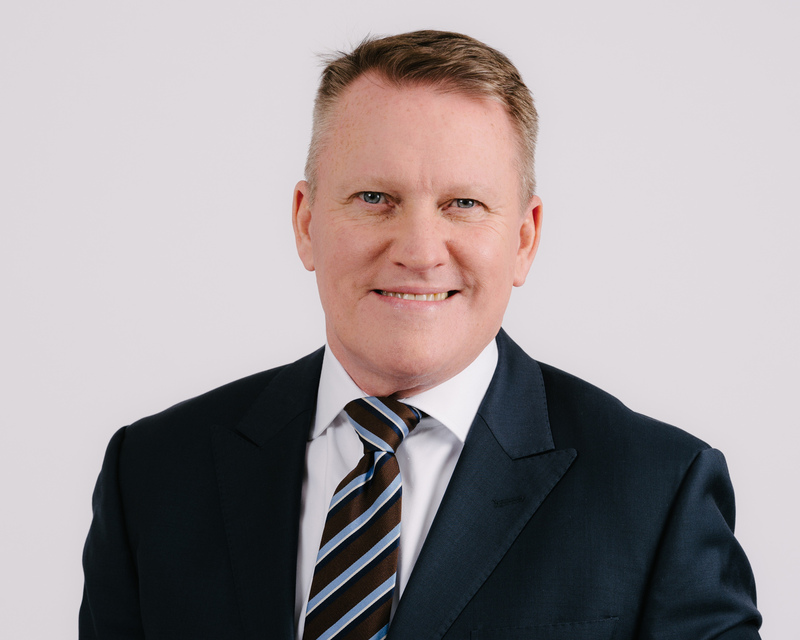 CLIA AUSTRALASIA APPOINTS NEW CHAIRMAN, STEVE ODELL FROM NCL HOLDINGS. CLIA Australasia Appoints New Chairman, Steve Odell. Norwegian Cruise Line Holdings Senior Vice President and Managing Director Asia Pacific Steve Odell has been appointed as the new chairman of Cruise Lines International Association (CLIA) Australasia. Mr Odell replaces Gavin Smith, who is relocating to the UK following his recent appointment to Senior Vice President International for Royal Caribbean. Following its Annual General Meeting in Sydney today, CLIA has also welcomed three new members to its executive committee: Princess Cruises Vice President Australia & New Zealand Stuart Allison, Royal Caribbean Managing Director Australia & New Zealand Adam Armstrong and Carnival Cruise Line Vice President Australia Jennifer Vandekreeke. With the executive committee now expanded to eight cruise line representatives, the new members join four existing committee members: Ponant Chairman Asia Pacific Sarina Bratton, Silversea Cruises General Manager Australasia Karen Christensen, MSC Cruises Australia and New Zealand Managing Director Lynne Clarke and Travel the World’s Managing Director Andrew Millmore (GSA for Tauck). Welcoming the new committee, CLIA Australasia Managing Director Neil Linwood thanked the outgoing members, Gavin Smith and Carnival Australia Executive Chairman Ann Sherry, for their efforts and paid tribute to Mr Smith for the time and dedication he had given to CLIA over five years, since he was first appointed chairman in 2011. “Gavin has been very generous with his support and guidance for CLIA during a time of rapid industry growth and we thank him for all his hard work on the industry’s behalf,” Mr Linwood said. A former chairman of International Cruise Council Australasia (now CLIA Australasia) from 2005 to 2006, Mr Odell has more than 30 years’ experience in the cruise industry and has held senior management roles for a number of international contemporary and luxury cruise lines, including most recently Silversea Cruises. 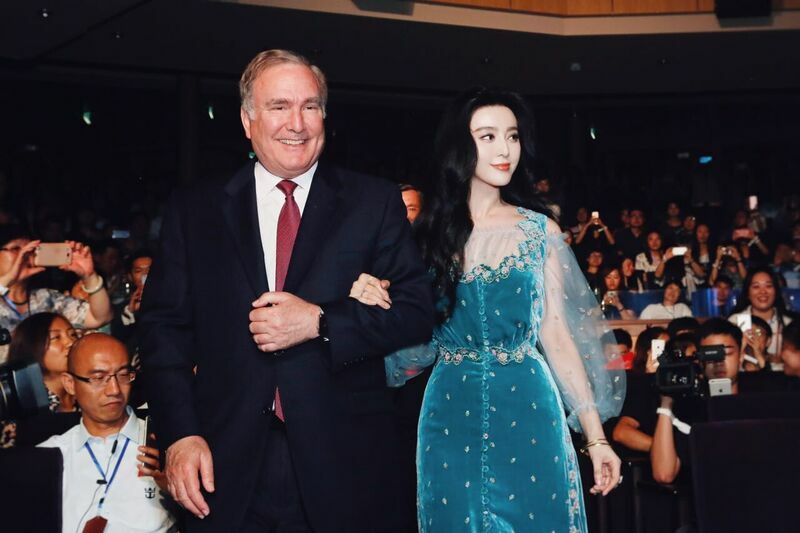 In October last year, he joined Norwegian Cruise Line Holdings which encompasses Norwegian Cruise Line, Oceania Cruises and Regent Seven Seas Cruises. Mr Odell said he regarded his appointment as CLIA Australasia Chairman as an immense honour. “I welcome the opportunity to work in collaboration with the Board, providing a voice for the industry at such an exciting time for the sector,” Mr Odell said. One behalf of everyone associated with the Australian Cruising Industry, I would like to welcome Steve to his new role and we wish you all the best. 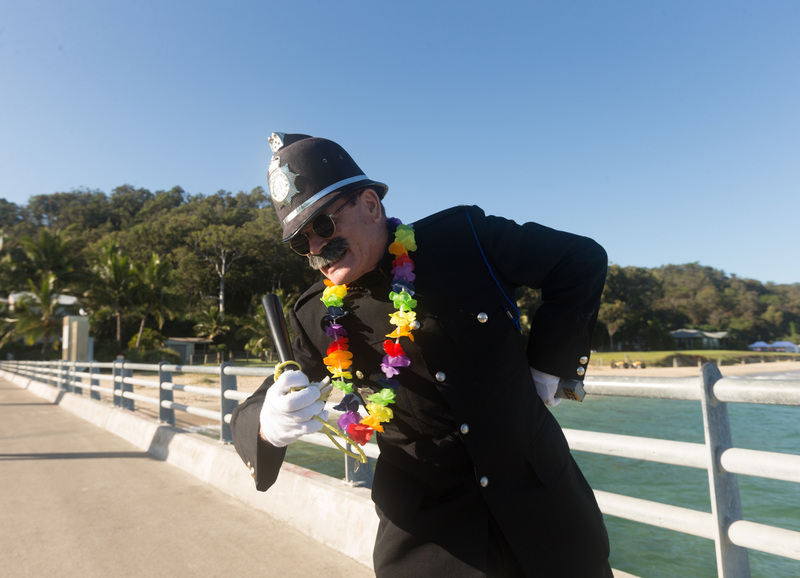 CARNIVAL CRUISE LINE CELEBRATES MAIDEN CALL TO MORETON ISLAND, WITH FUN POLICE ! Carnival Cruise Line Celebrates Maiden Call To Morton Island With Fun Police ! Carnival Cruise Line ensured the focus was firmly on fun in the sun during Carnival Spirit’s maiden call to Moreton Island last Thursday (May 5), with the fun police joining in activities on the island. Roving the Tangalooma Resort precinct across the day, the resident fun policeman was responsible for ensuring guests had a great day during the ship’s inaugural visit, encouraging them to try new experiences and unleashing ‘random acts of fun’. Image 1: The fun police (man) prepares to greet visitors during Carnival Spirit’s inaugural call to Moreton Island. Dressed as an English bobby, the local copper kept the fun vibes alive amongst guests issuing rewards, as well as fun fines – in the form of popcorn and fairy floss vouchers – to those in need of a hand to reach their fun-tential. During the inaugural visit, Carnival’s guests also became the first cruisers to try two new activities – sand sculpting and plaster painting – as well as the many adventure activities the resort is well-known for, including a snorkelling tour among local wrecks, parasailing and a wild dolphin feeding experience. 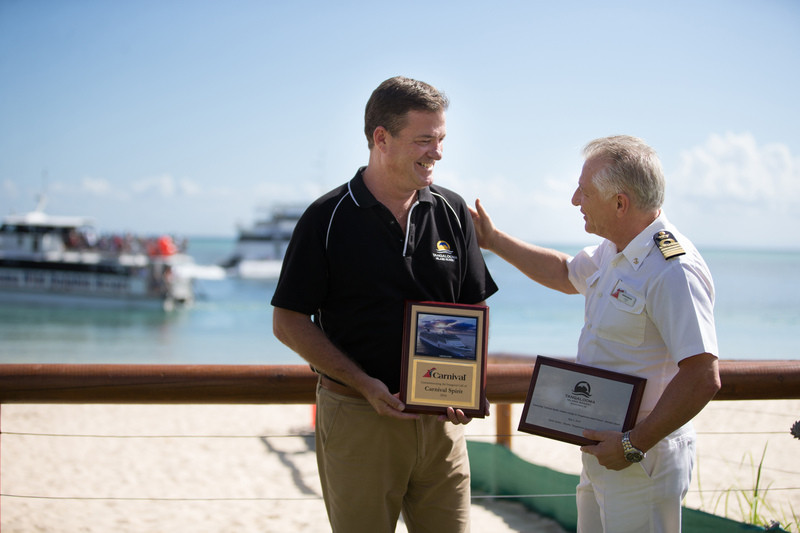 Image 2: Pictured following the official plaque handover to mark Carnival Spirit’s maiden call to Moreton Island is Tangalooma Wild Dolphin Resort Director David James (left) and Carnival Spirit’s Captain Adriano Binacchi. Carnival has done back-to-back Moreton Island cruises with a second four-night cruise departing Sydney last Saturday (May 7). A further two Carnival Spirit cruises will depart Sydney for Moreton Island on September 9 and 13, 2016. 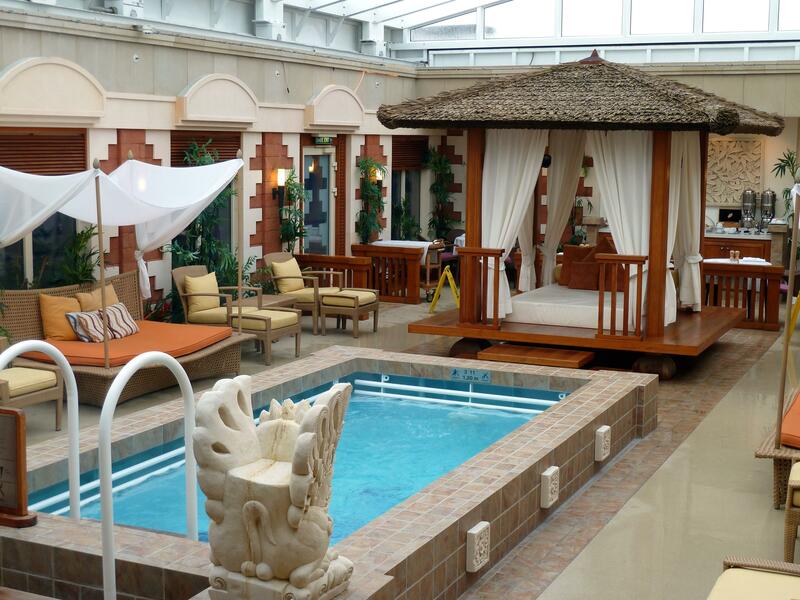 PRINCESS CRUISES OFFERS THE ULTIMATE IN LUXURY, WITH CLUB CLASS MINI SUITES. Princess Cruises is set to offer guests a new premium stateroom category featuring VIP amenities and exclusive dining with the introduction of its Club Class Mini-Suite in December. The elevated mini-suite category features select perks including new Club Class Dining, a reserved dining area with expedited seating and expanded menu options, as well as priority embarkation and disembarkation. Club Class guests will also be among the first to sleep on the new Princess Luxury Bed. Club Class will debut in Australia in December 2016 on Emerald Princess and roll out across the rest of the Australian-based fleet during 2017. 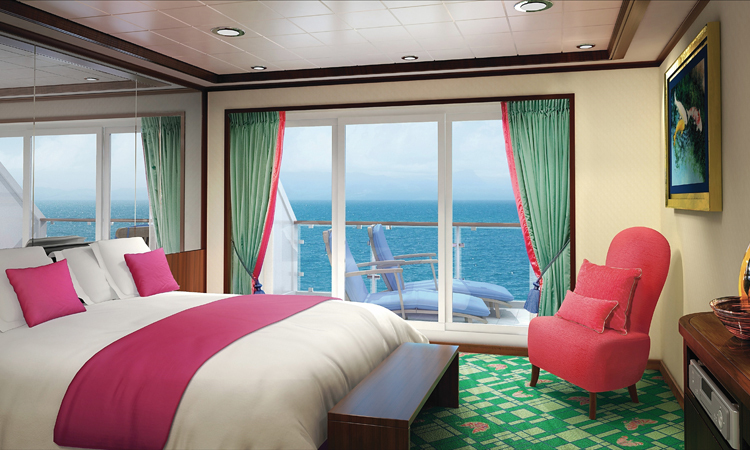 Princess Cruises Vice President Australia & New Zealand Stuart Allison said the new staterooms would provide Princess guests with an enhanced accommodation experience during their cruise. “The VIP perks, including the new Club Class Dining, offers a premium and memorable onboard experience so our guests can completely relax, unwind and immerse themselves in worldwide destinations and ultimately ‘come back new’,” Mr Allison said. Offering guests more convenience, Club Class Dining will be open every evening for dinner, as well as for breakfast and lunch on sea days. Featuring exclusive menu options with daily chef’s special and table-side preparations, the dedicated seating area also includes dedicated wait staff and uniquely-styled table décor. In addition to Club Class Dining and upgraded amenities and services, Club Class Mini-Suites include all of the standard mini-suite benefits, such as spacious staterooms of up to 30 square metres with balcony, separate seating area with sofa bed and coffee table, bathroom with combination tub and shower and a welcome glass of champagne. Full Suite guests will also enjoy all the benefits of Club Class Mini-Suites including Club Class Dining – and be among the first to experience the new Princess Luxury Bed – in addition to the many other amenities offered with a Full Suite. 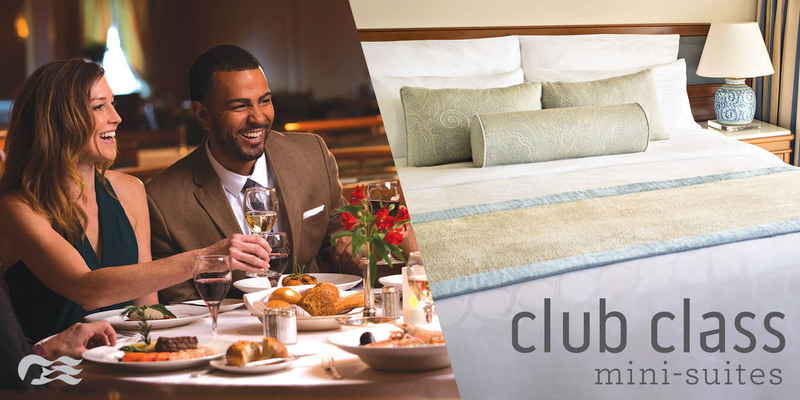 The new Club Class Mini-Suites add to the cruise line’s previously announced “Come Back New Promise,” a multi-year, multi-million-dollar program introducing new product innovations that offer guests enriching holiday experiences. The “Come Back New Promise” includes a partnership with award-winning chef and restaurateur Curtis Stone, bringing guests fresh culinary creations, which debuted in Australian waters on Sun Princess in April this year.